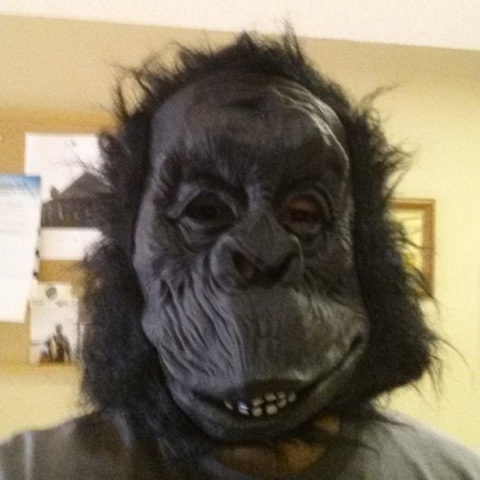 How’s it going? September was warm. We sure hope that you cool off. 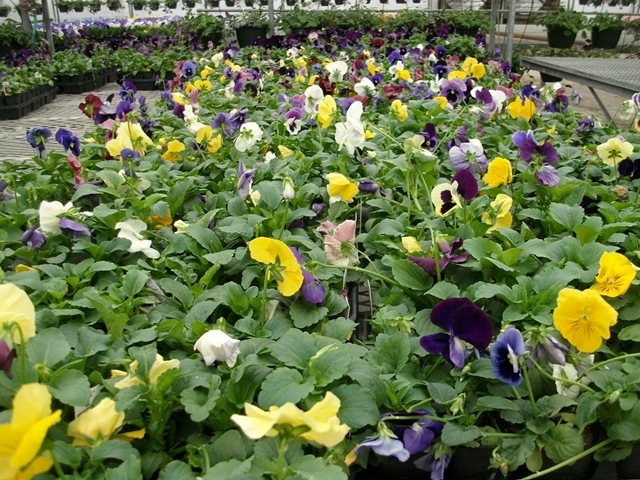 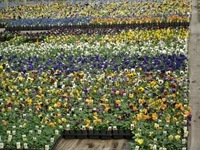 Folks want to plant their pansies and set out mums, pumpkins and hay bales. 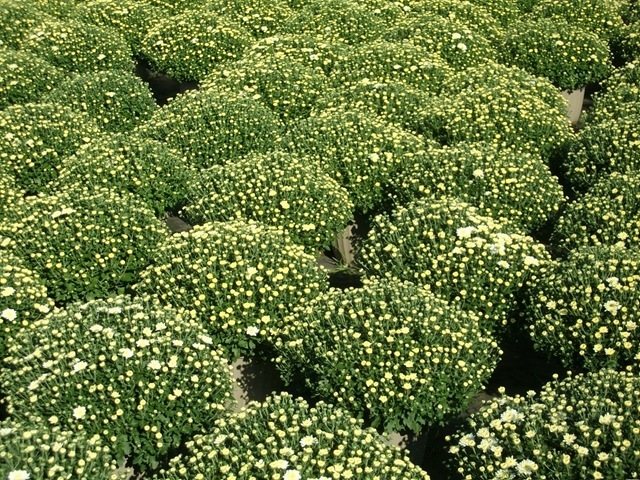 It’s kind of hard to do when it’s been so hot the pumpkins cook on the porch. 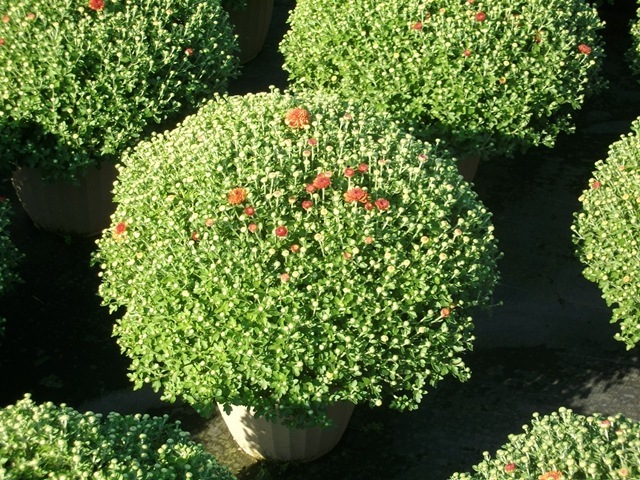 And let me tell you, it is hard to get burnt pumpkin off the porch. 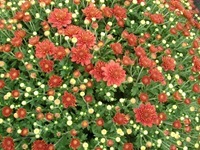 Why it was so hot I saw one of my neighbors pumpkins explode. 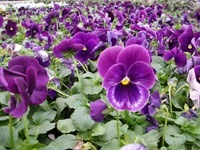 So anyway, we’re glad your back and we are looking forward to having a great time with you. 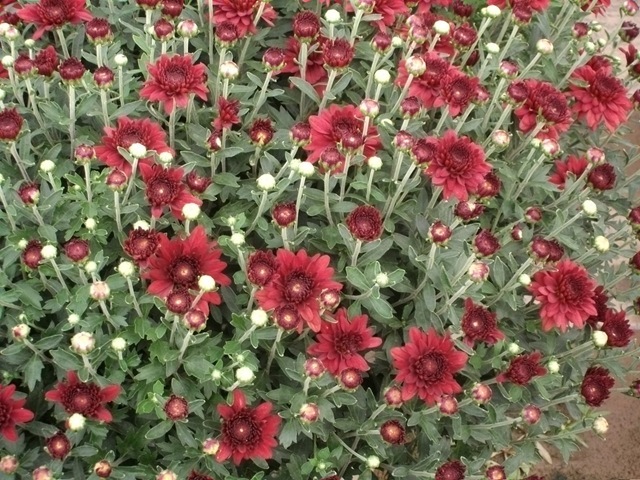 Just be cool. 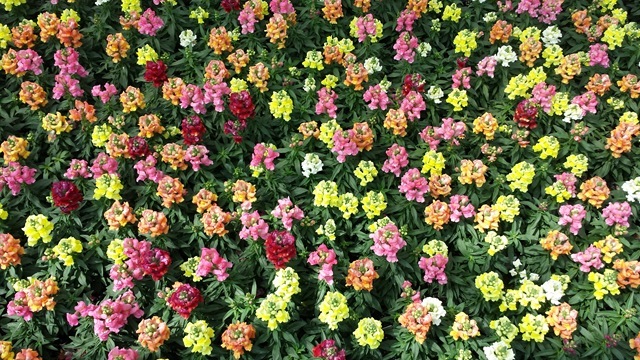 That’s all we ask. 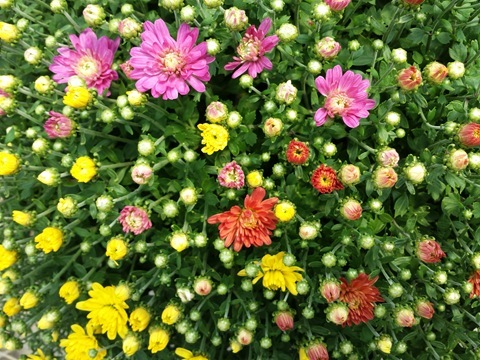 September can be such a drama queen. 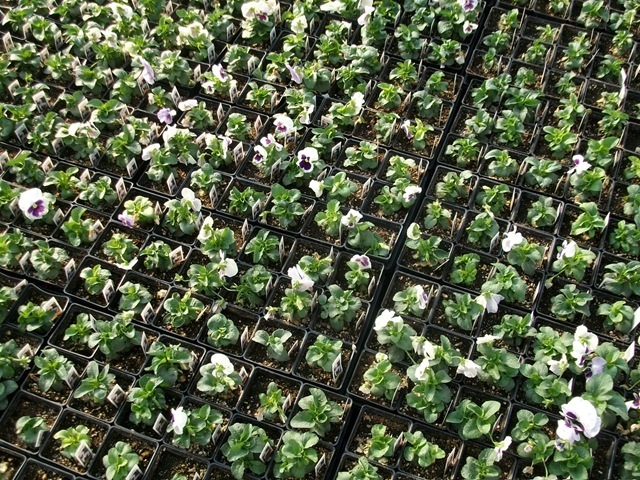 We never know if she’s going to be hot or cold. 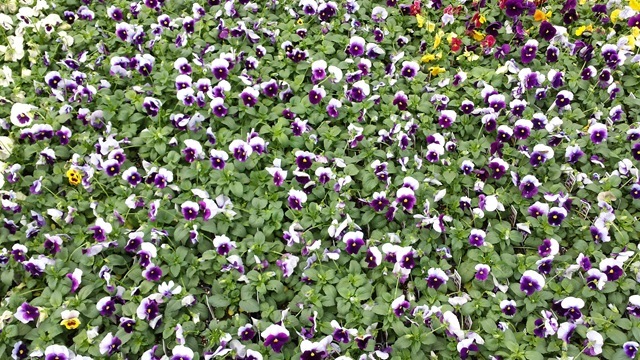 But don’t tell her we said that. 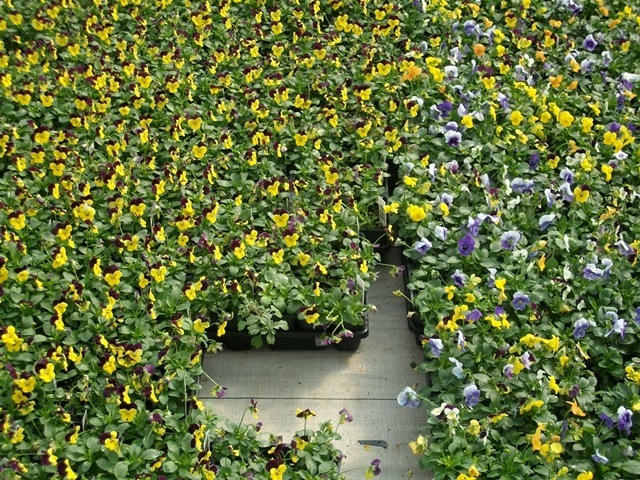 It’s been one of those weeks here at work as you can see by the picture which is kind of typical for how things go when we are busy. 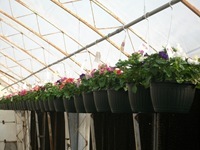 Since we are talking about work, here are some pictures. 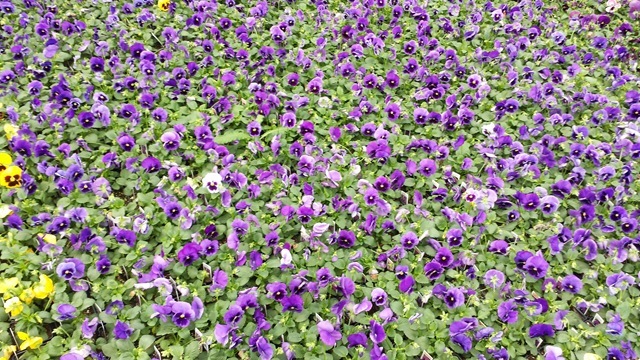 I gotta jump now. 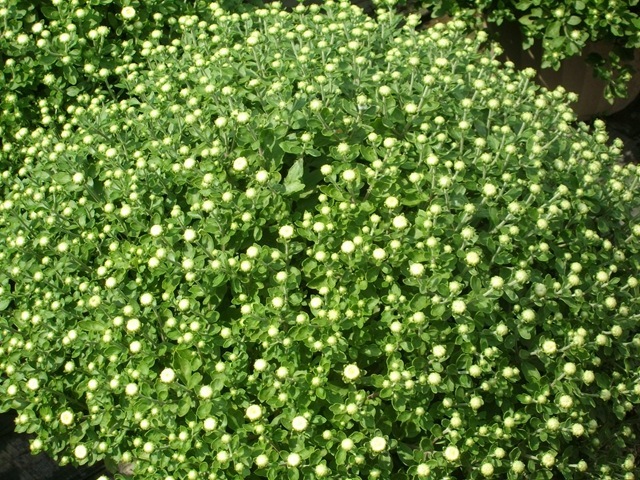 Talk to you soon, October. You take care and don’t work too hard. 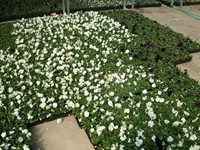 We have some 1801 pansies but a lot of the look like the blotch white in the first picture. 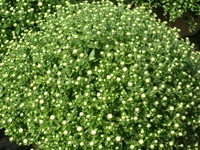 They are growing slowly. Some colors are close to being ready while others are still small. I will run through them again Monday morning to make sure they are good to go and add in more if they do some growing. 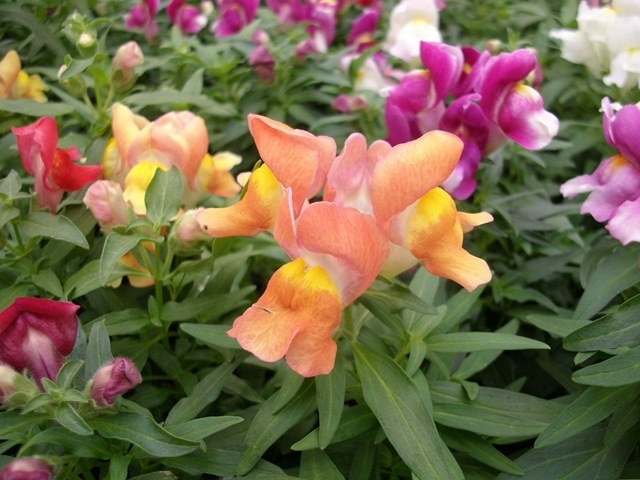 1801 and J6 Snapdragons. 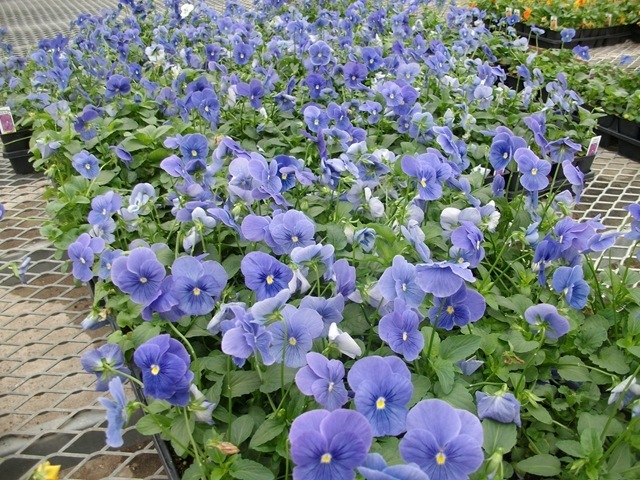 The 1801’s have GC and more coming on with Buds and Light Color. 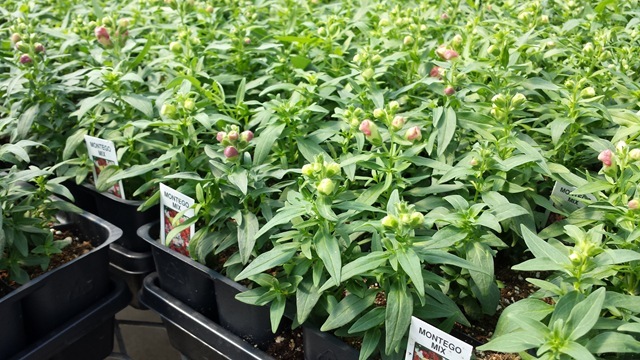 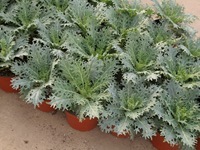 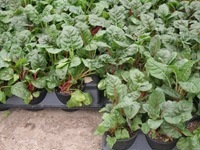 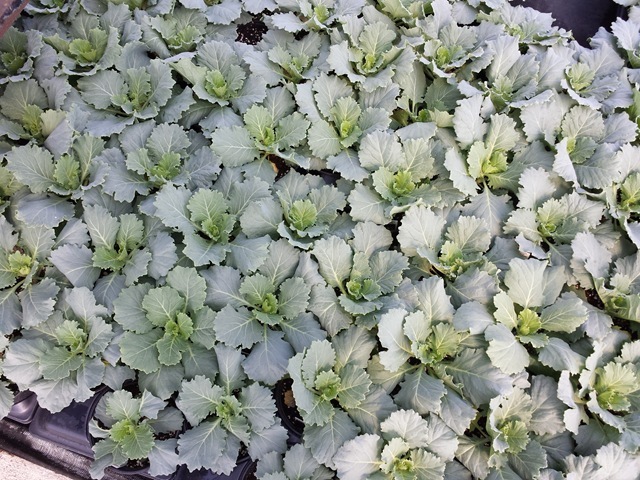 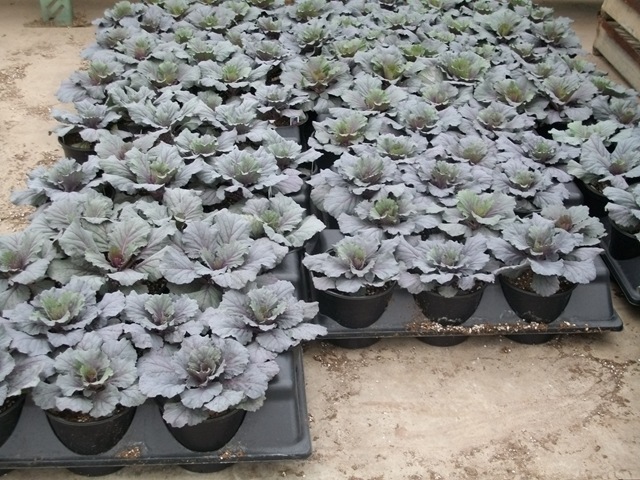 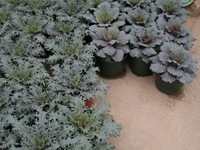 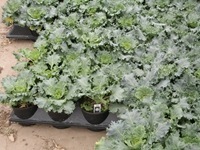 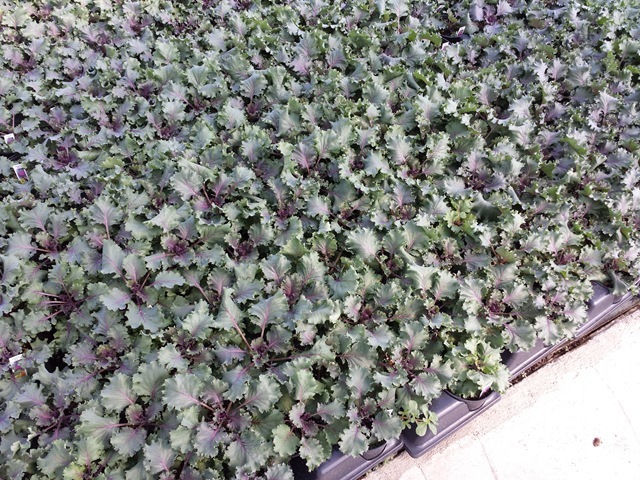 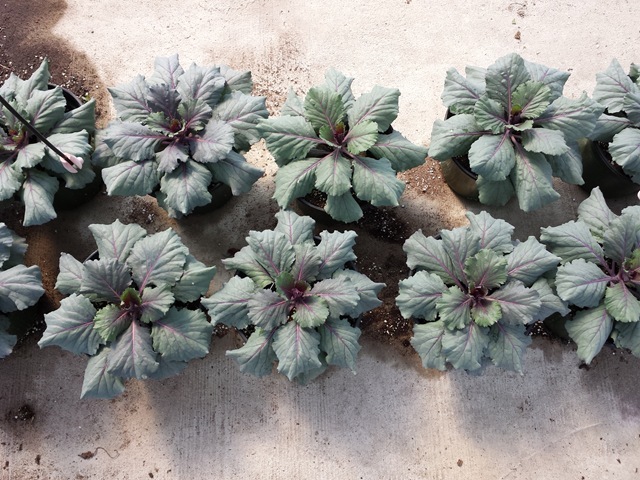 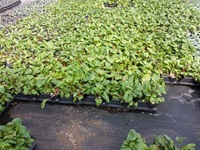 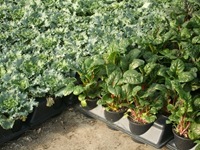 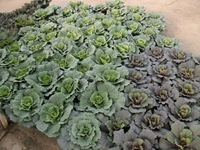 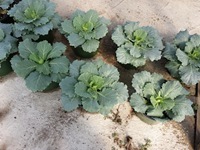 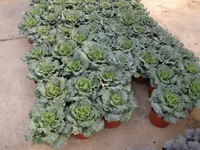 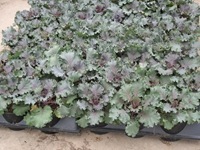 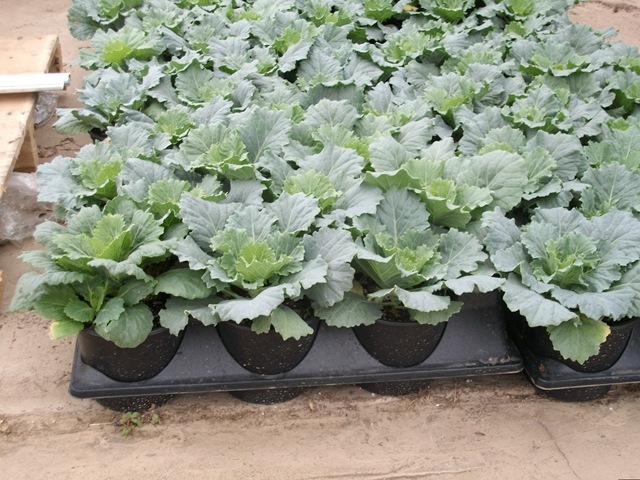 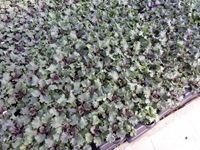 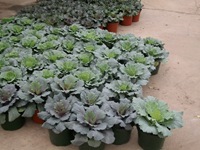 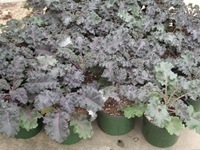 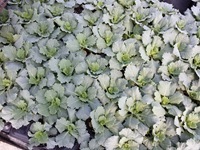 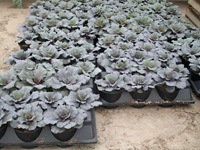 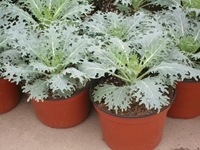 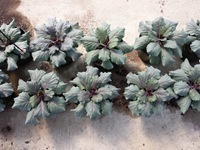 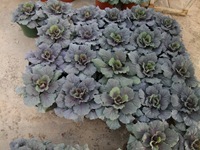 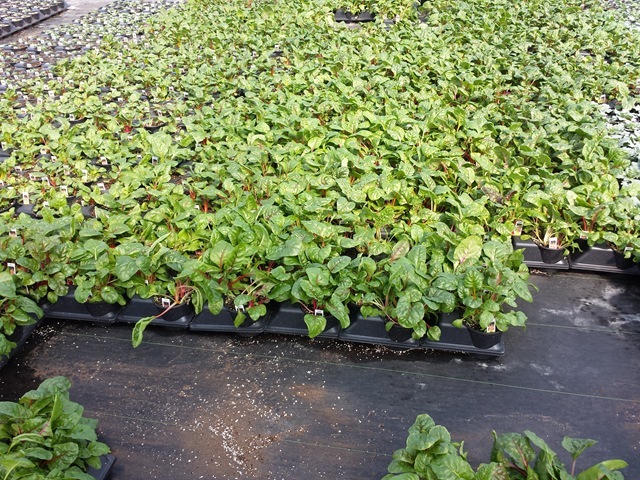 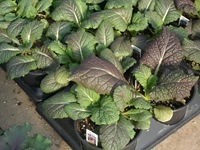 The J6 Montego Mix Good Color listed on our avail is for the 30 or so flats left of this week’s crop. 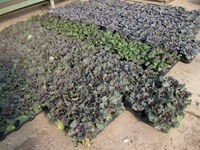 We will ship out the GC first them go to the next crop that will have a lot more color showing Monday. 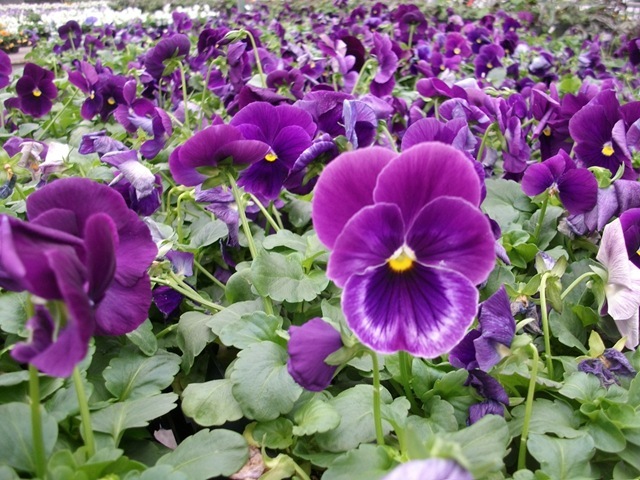 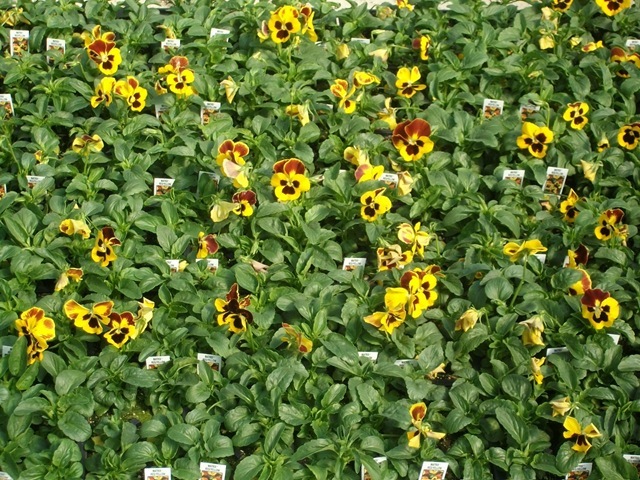 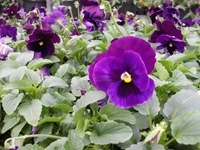 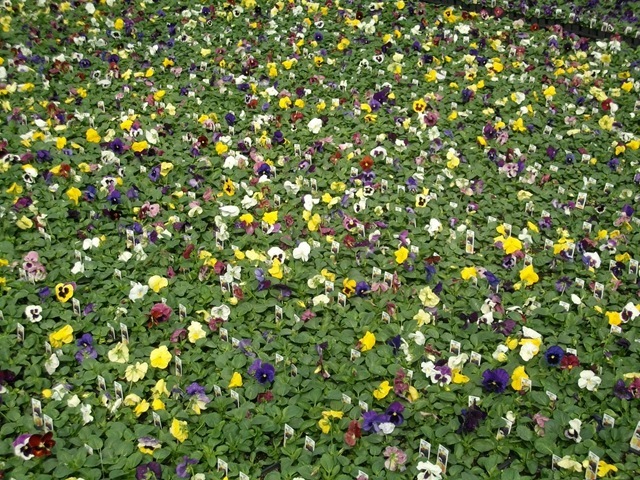 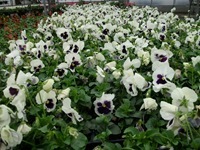 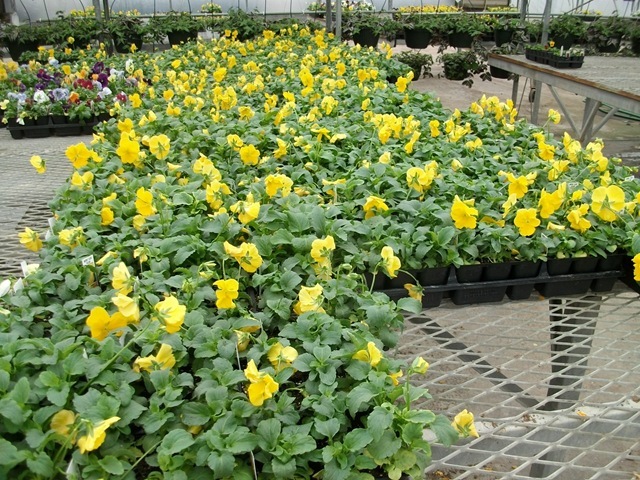 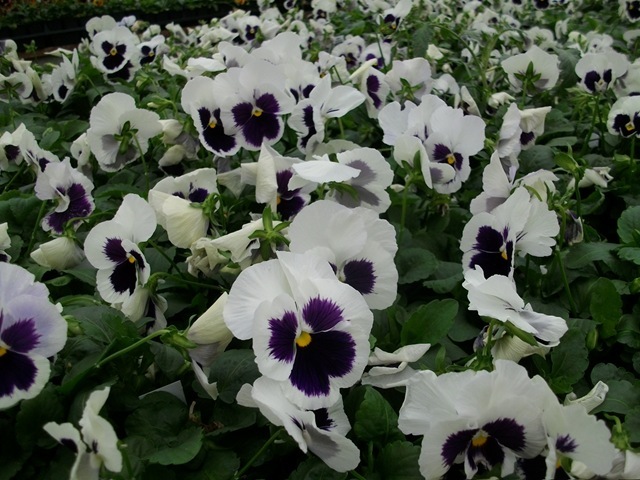 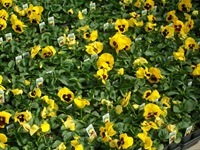 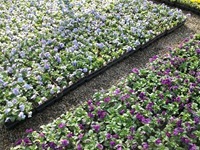 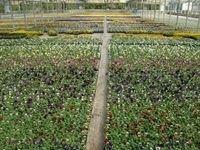 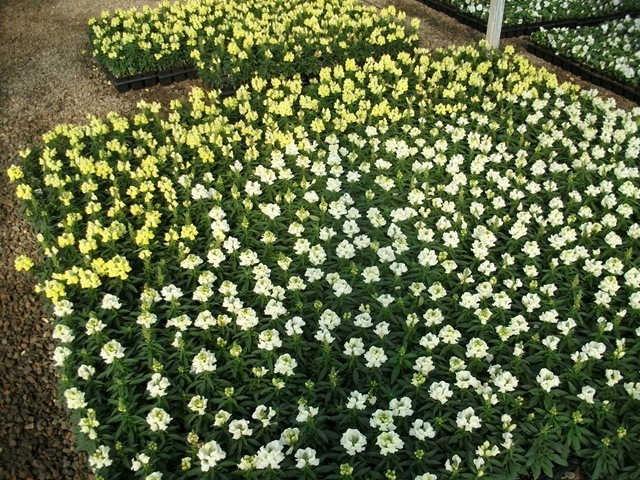 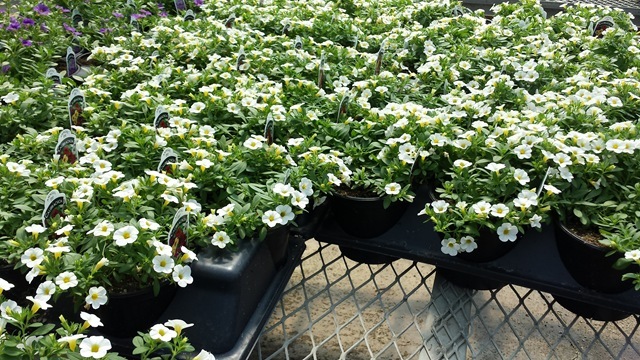 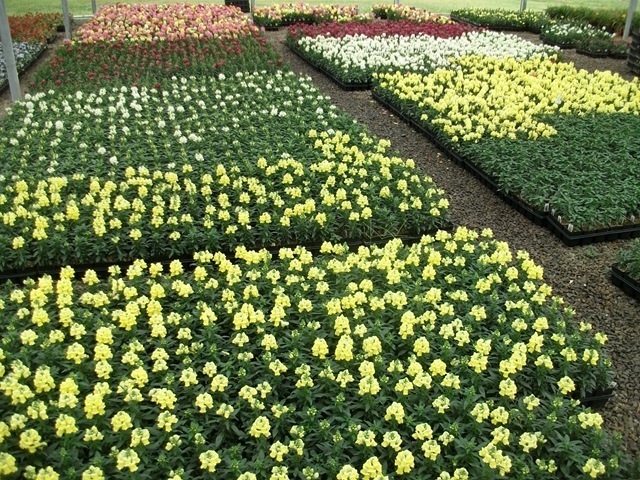 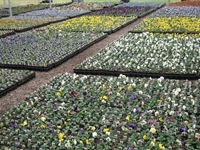 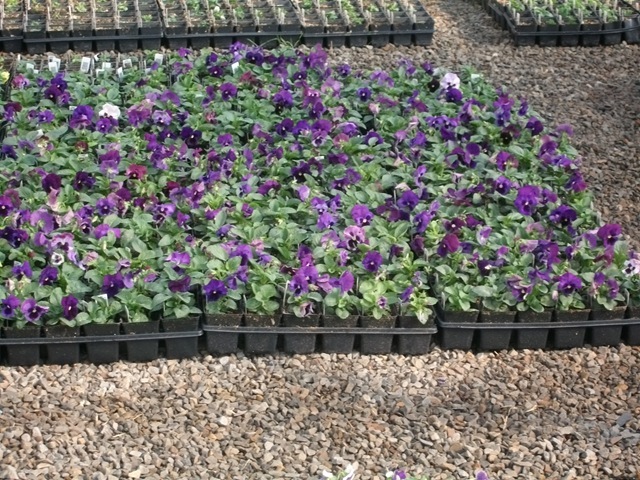 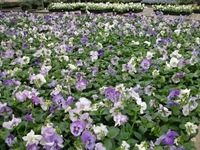 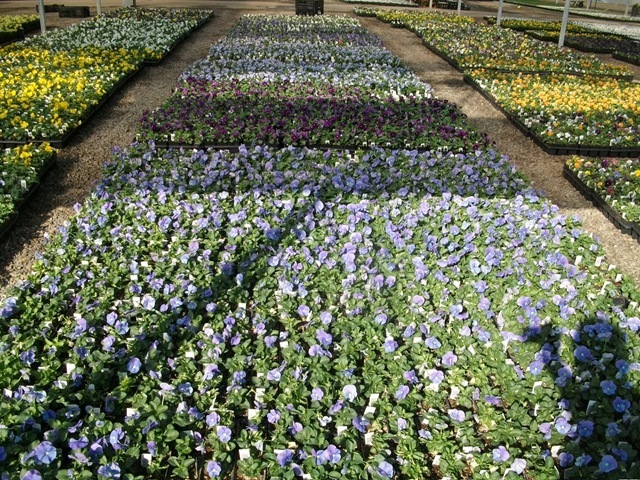 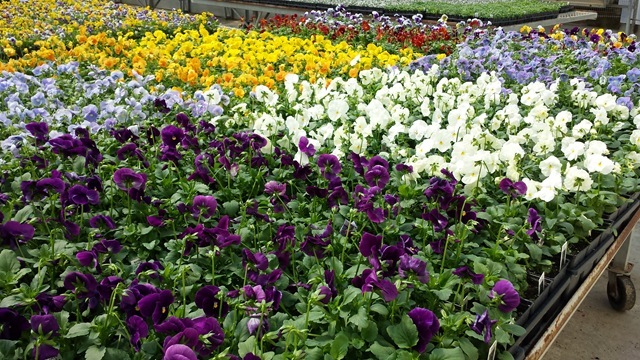 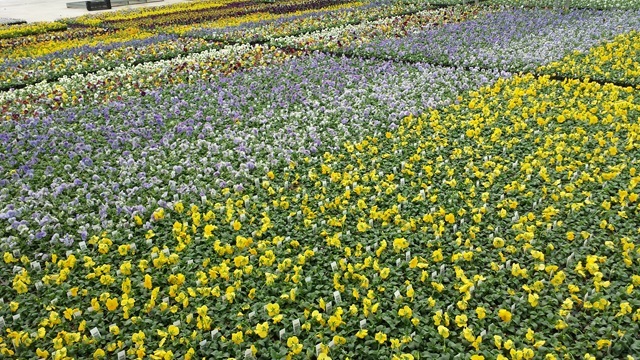 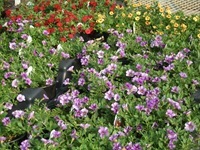 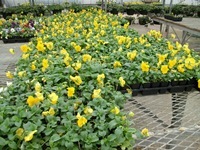 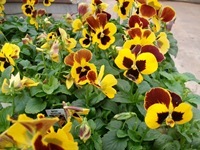 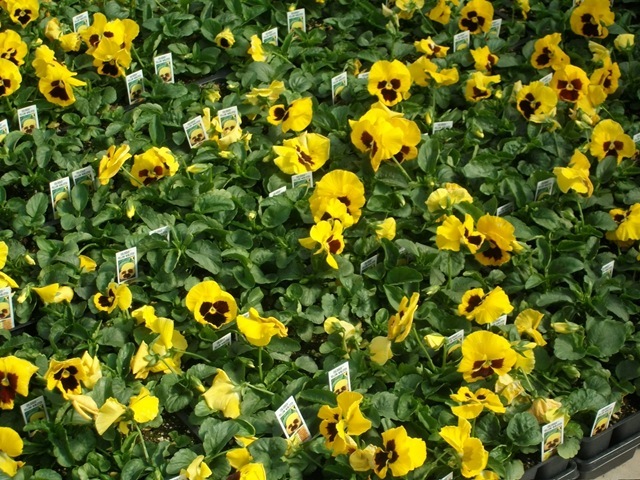 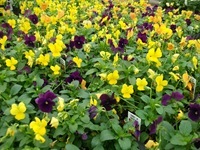 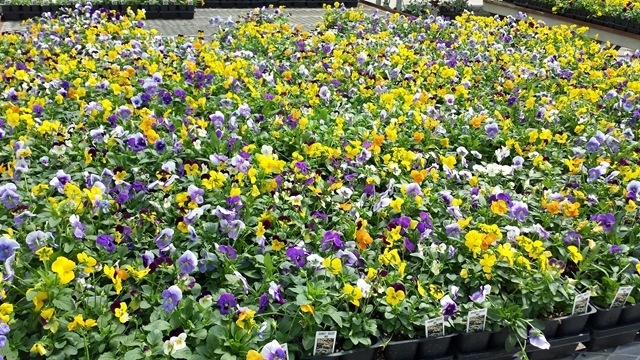 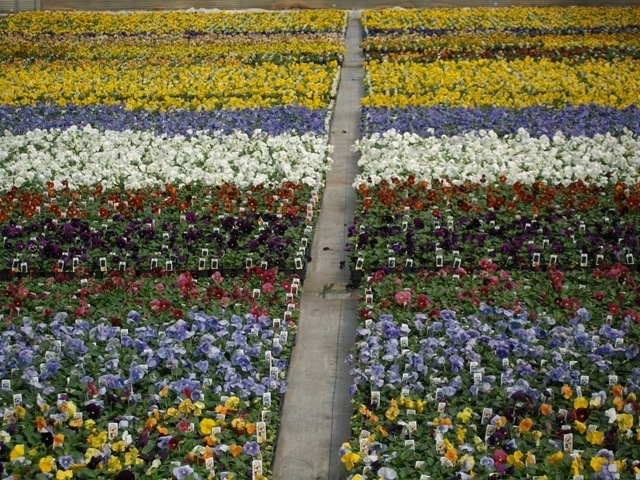 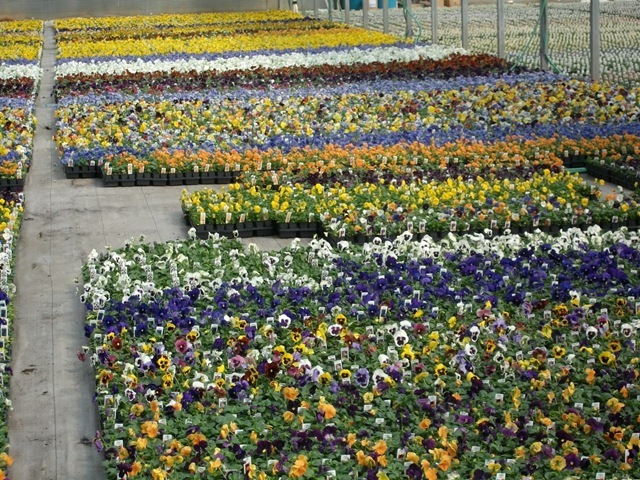 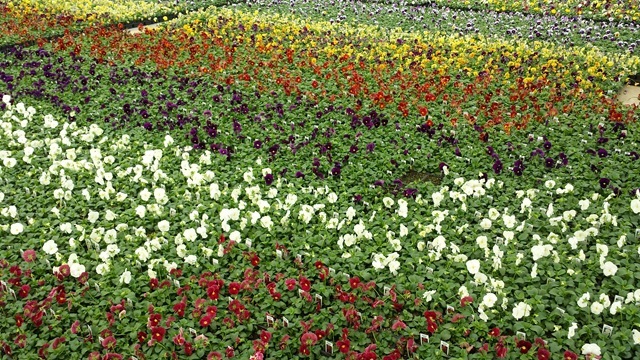 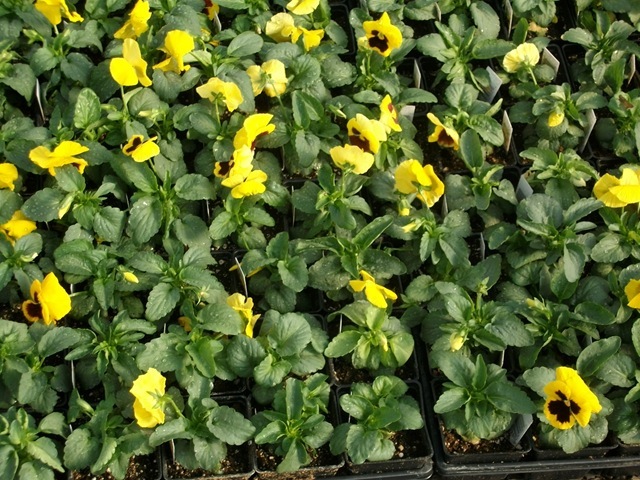 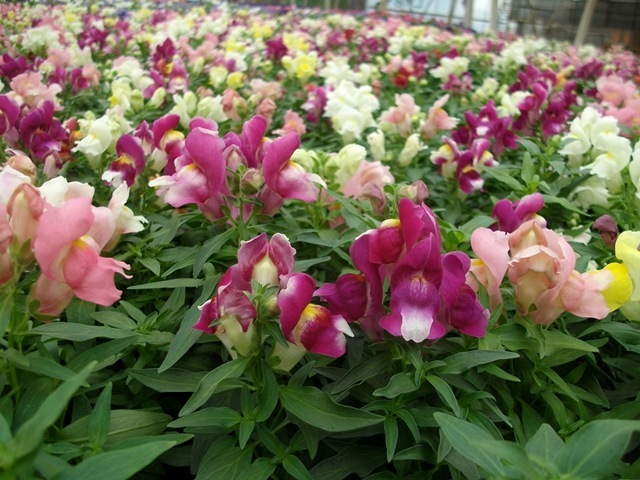 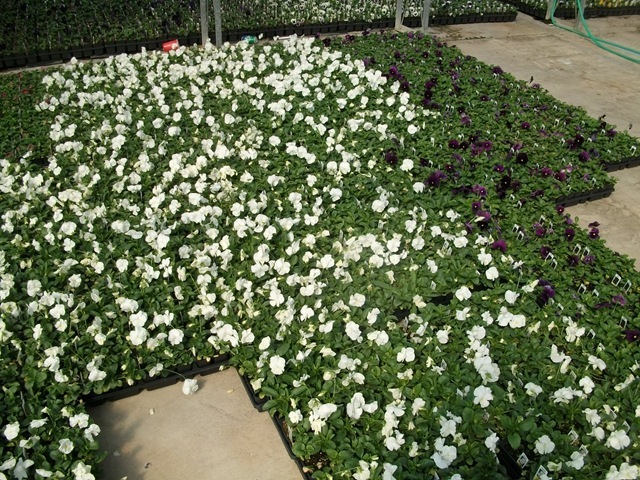 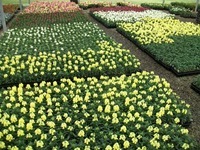 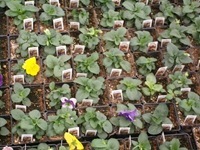 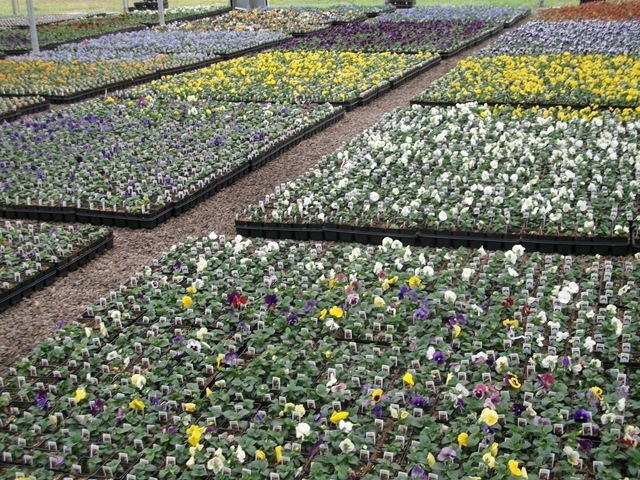 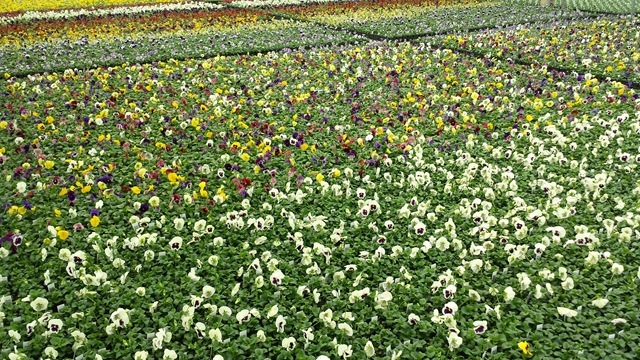 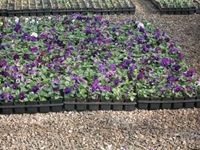 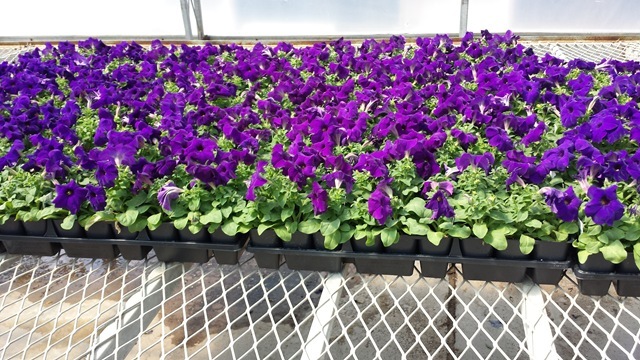 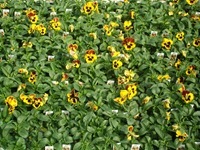 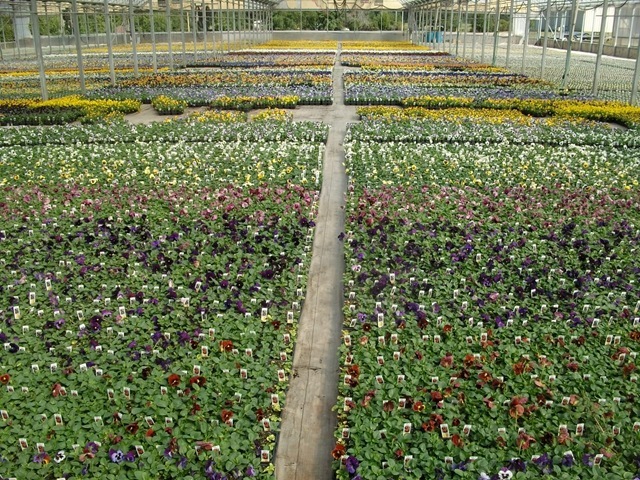 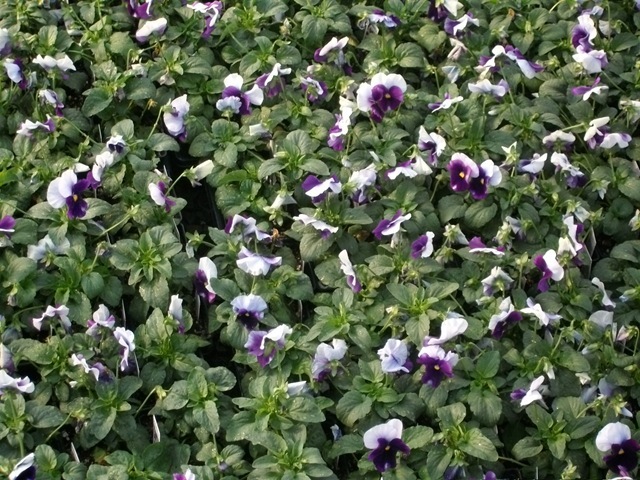 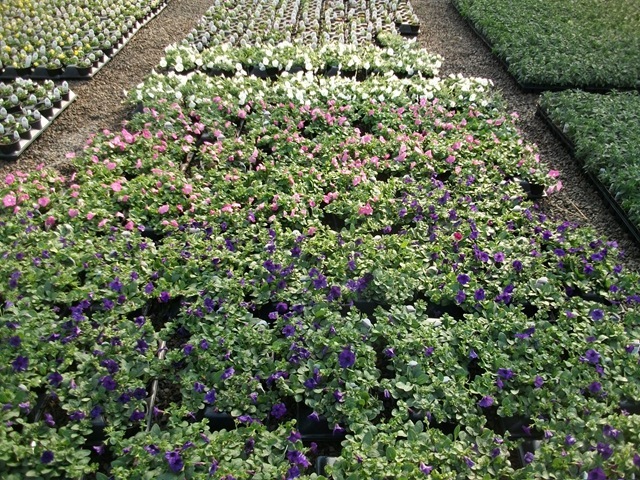 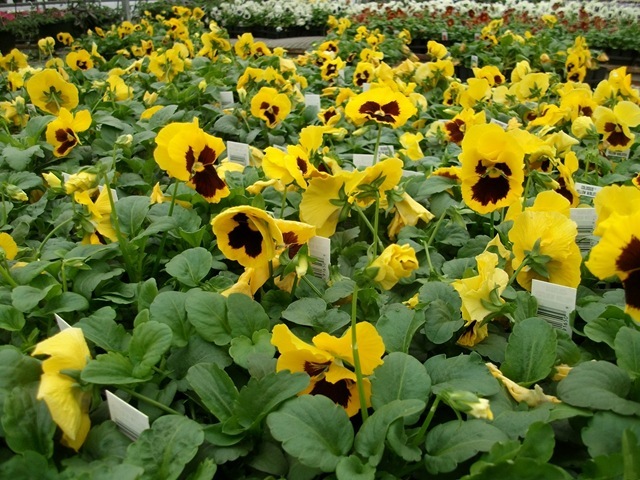 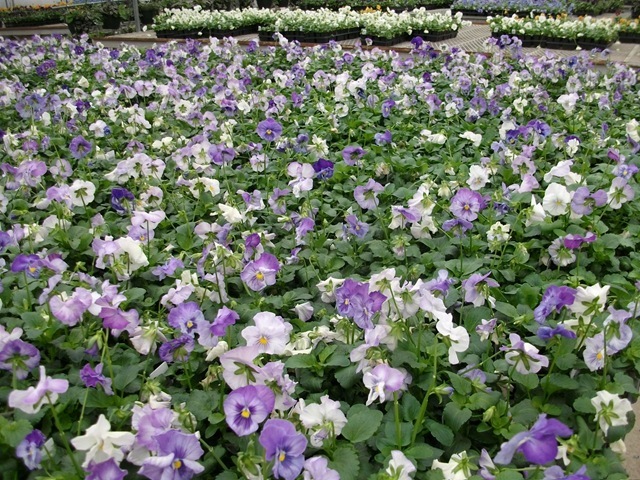 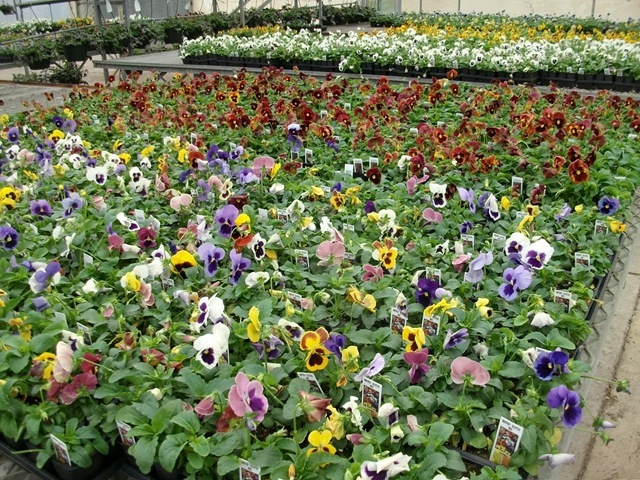 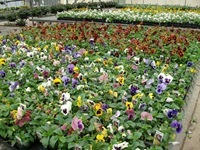 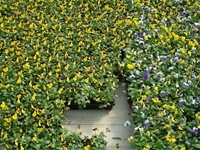 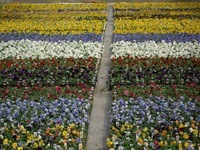 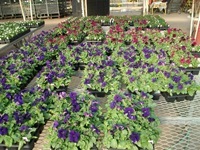 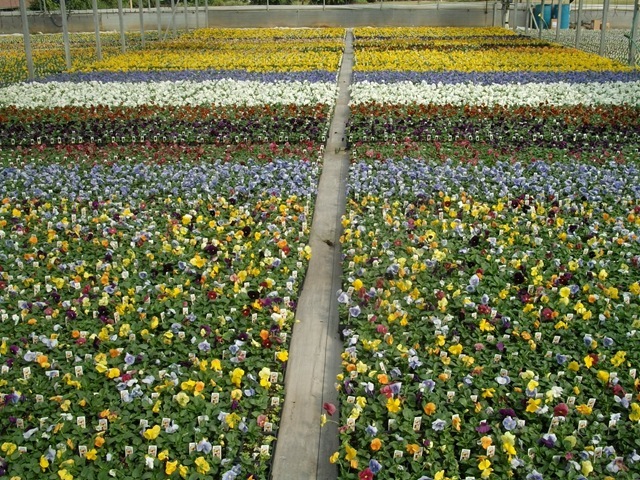 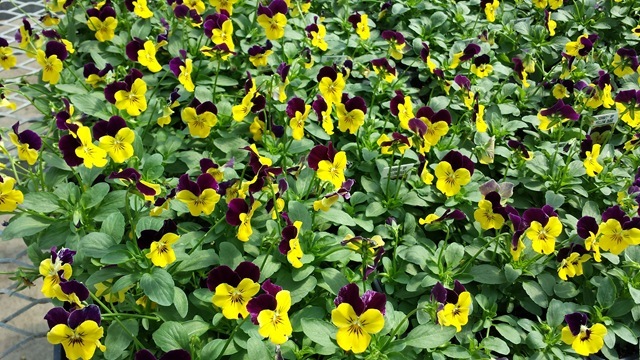 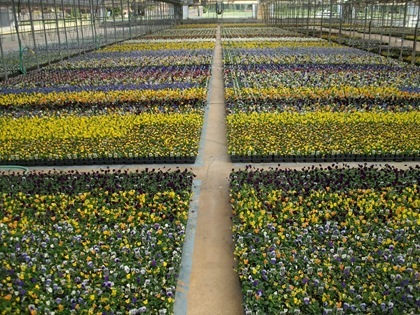 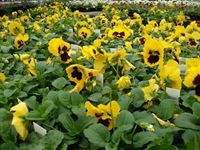 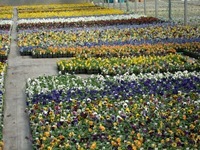 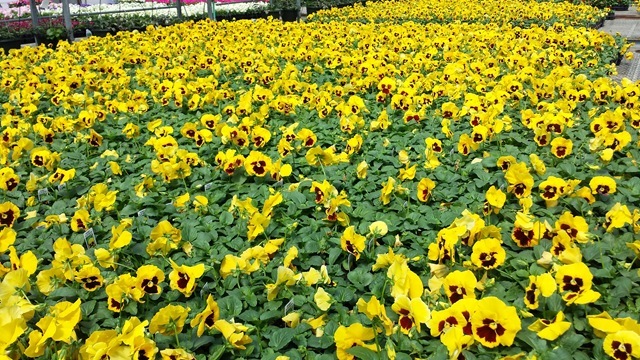 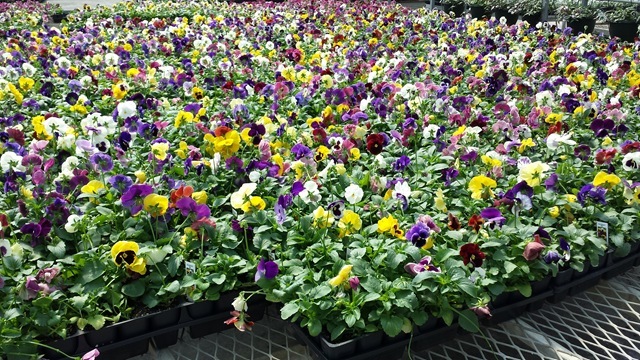 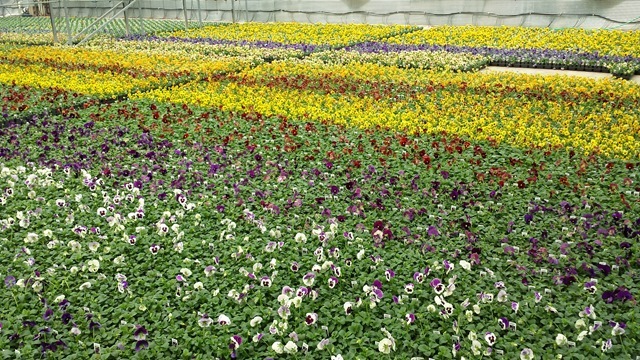 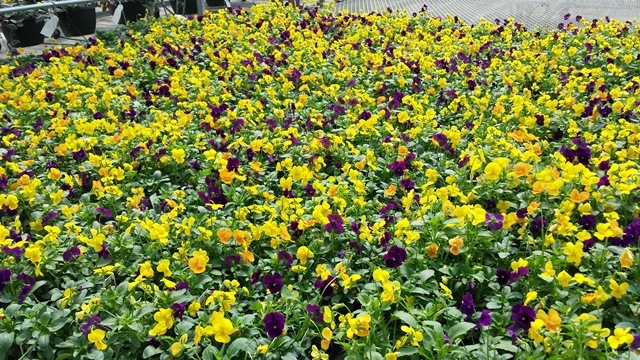 J6 Pansies – we are in good shape regarding numbers and color for next week on most of the pansies. 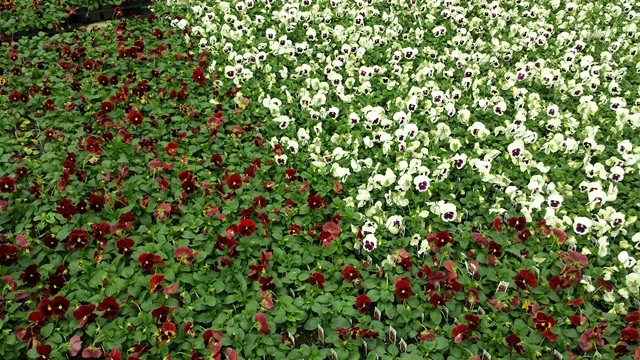 There are a couple of colors that we are low on. 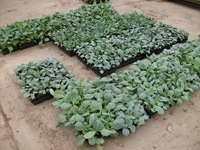 The next crop is looking great and a little ahead of schedule so we might be able to dip into it next week if necessary. 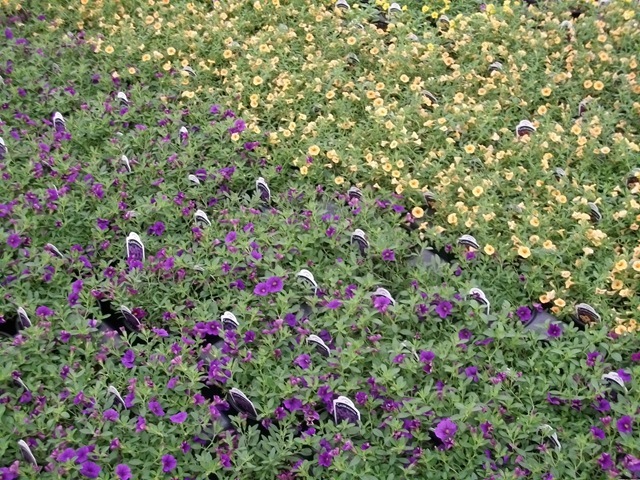 Other odds and ends of color. 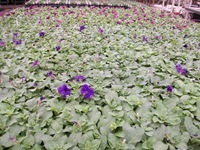 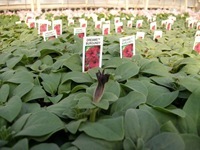 I threw away 280 flats of those really tall J6 petunias and have moved on to this crop which is a little light on color. 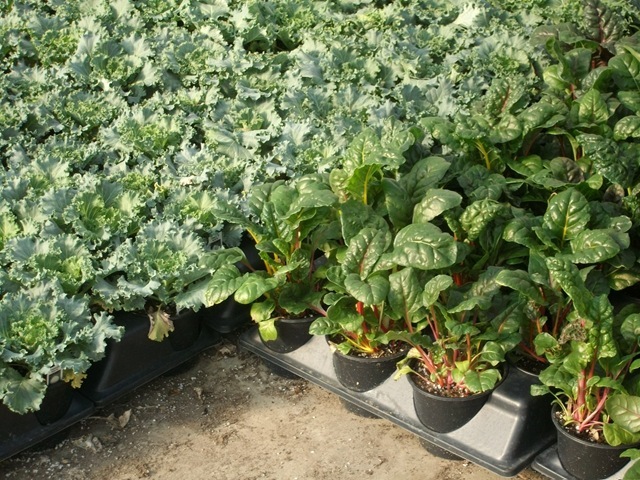 The rest of these other items are looking good. 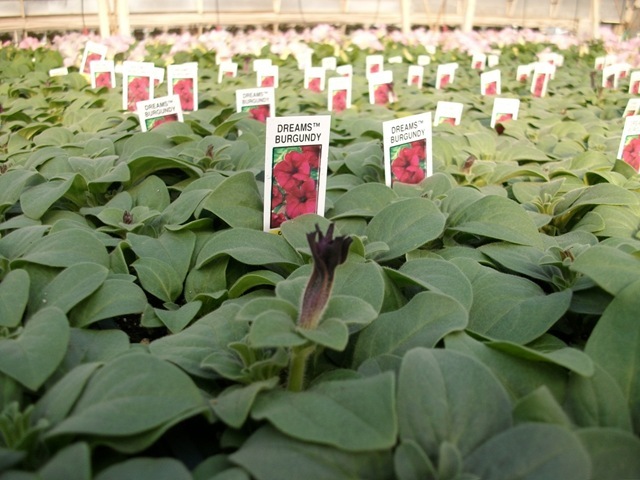 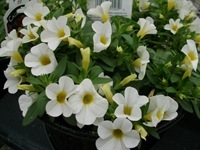 We have the regular Dreams Petunia baskets ready now. 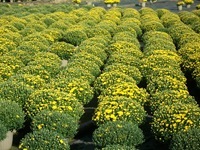 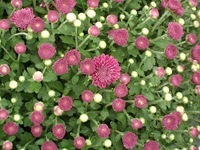 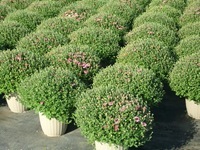 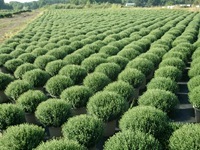 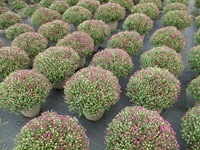 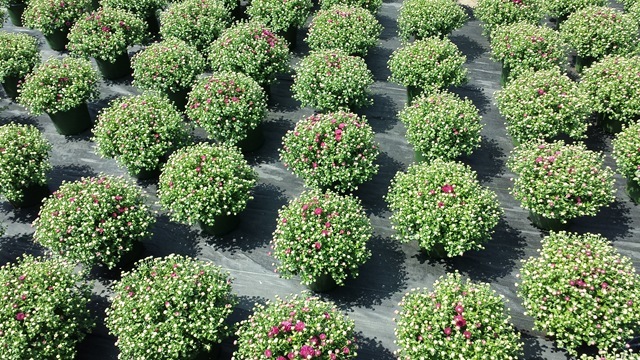 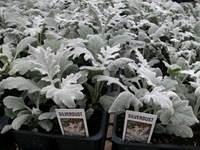 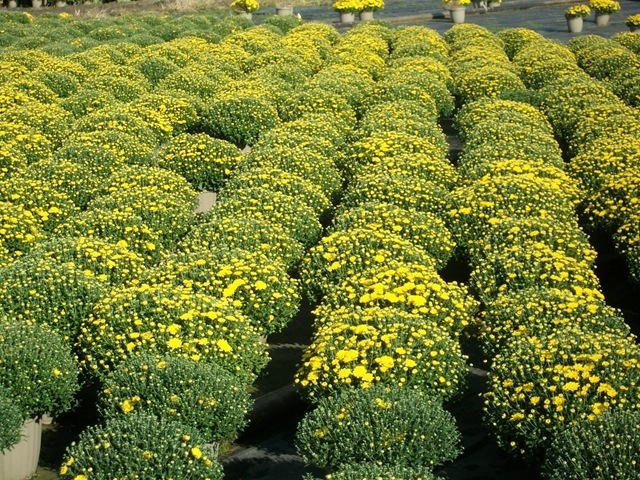 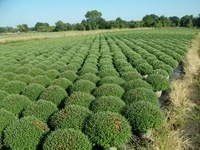 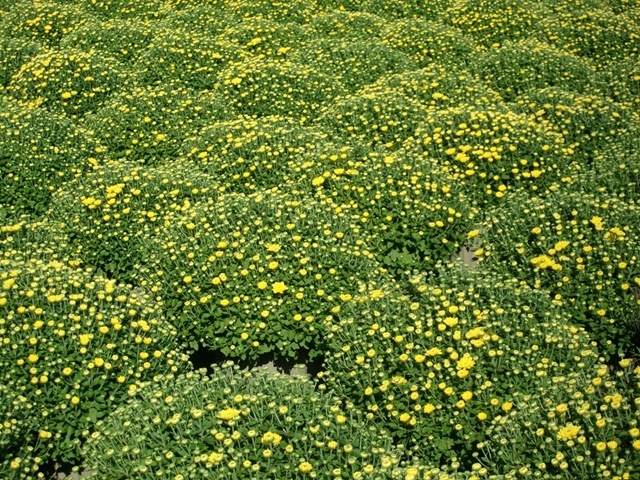 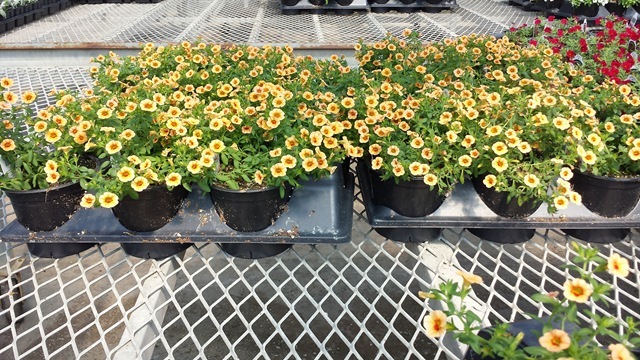 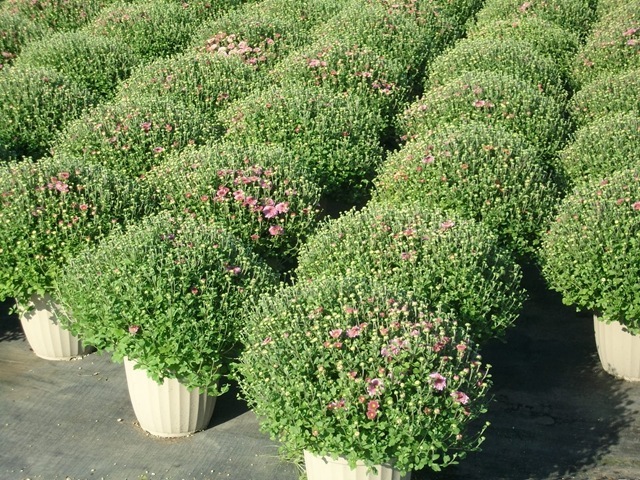 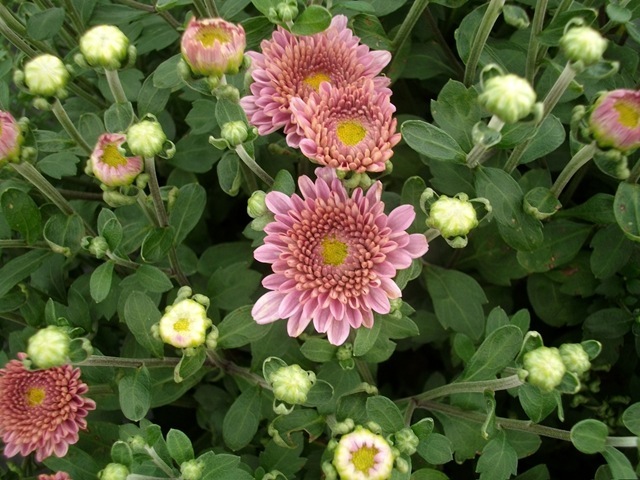 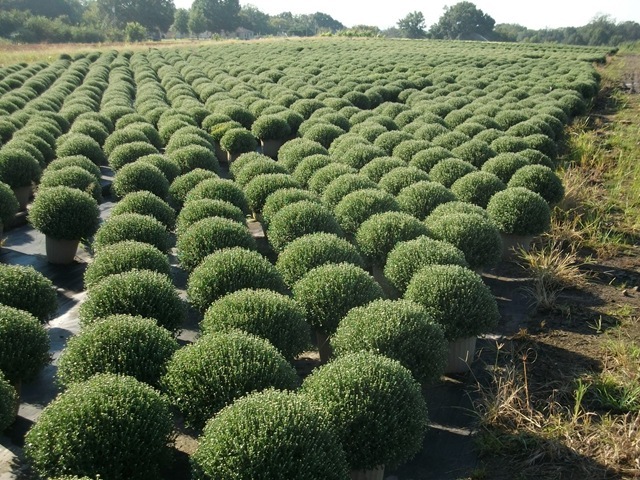 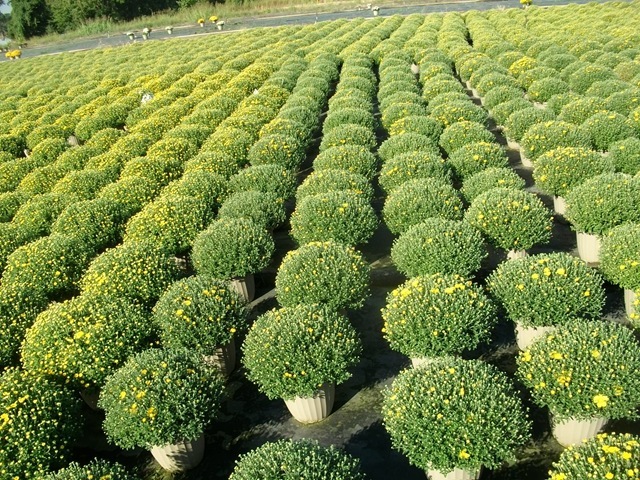 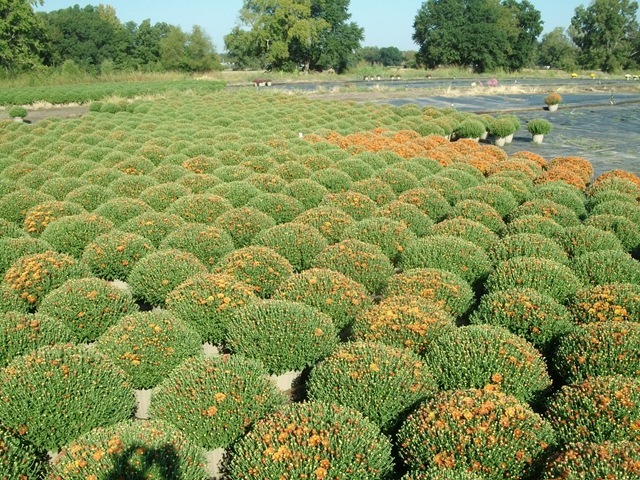 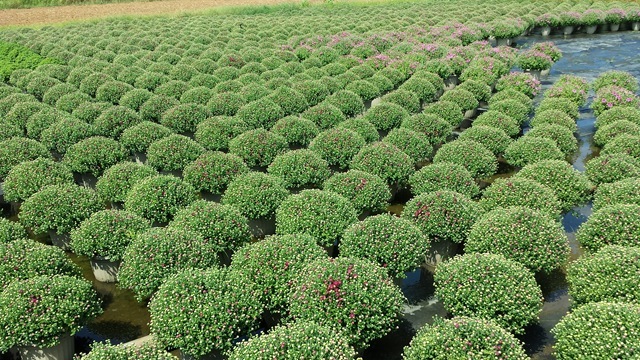 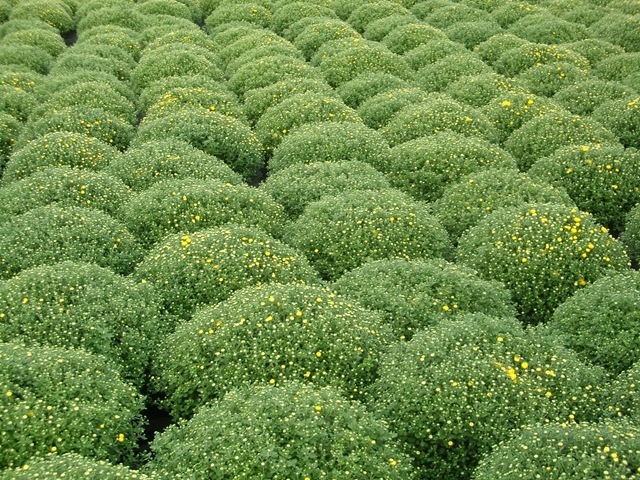 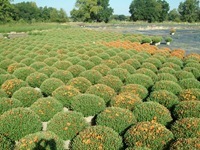 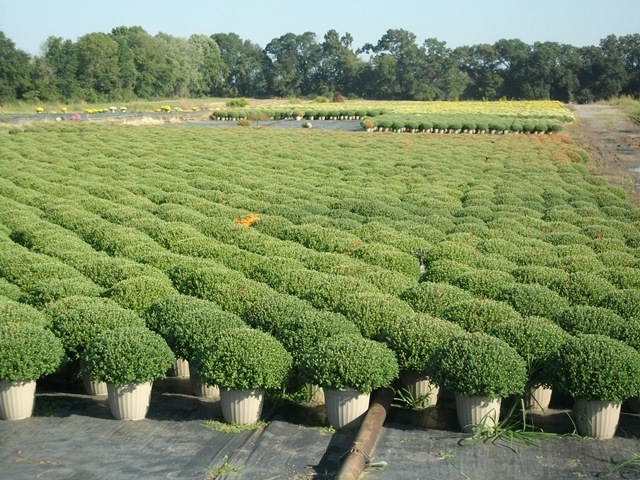 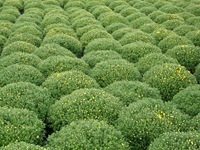 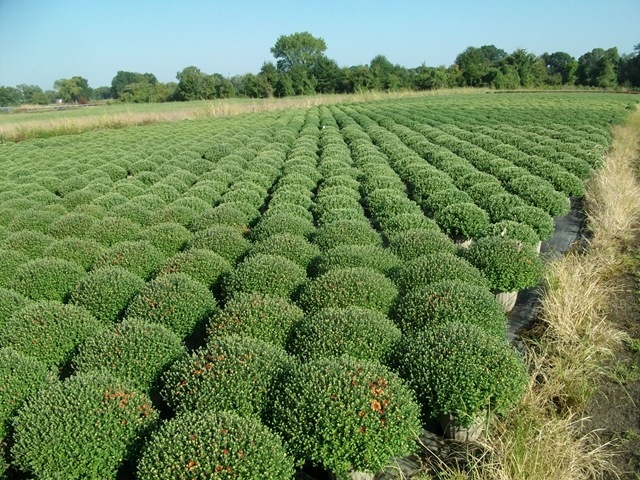 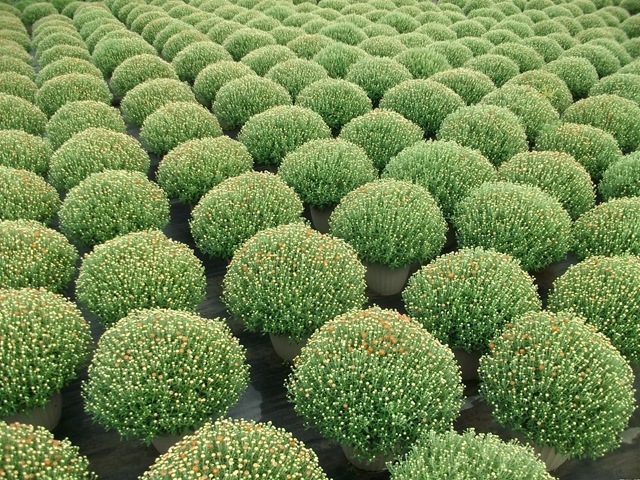 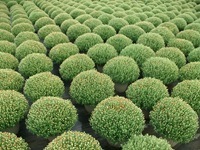 We are catching up on our mums and will be shipping lighter color and buds cracking color next week. 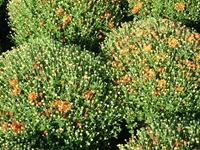 Even though they look green now, 3-5 days will bring on more color. Mustard, Kale, Cabbage and Chard – not necessarily in that order. 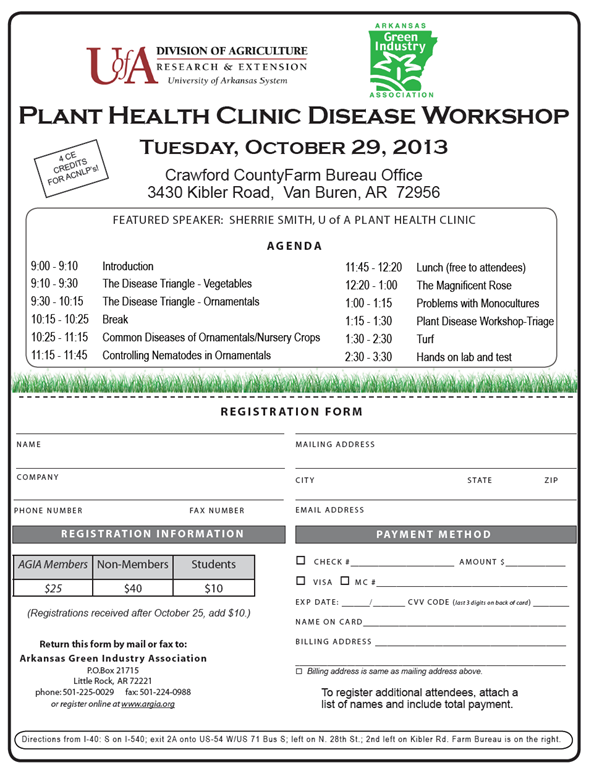 The Arkansas Green Industry Association is putting on a Plant Health Clinic Disease Workshop (plant disease identification) here in Van Buren which gives a lot of you who are on this side of the state a great opportunity to learn more about plant health and disease identification. 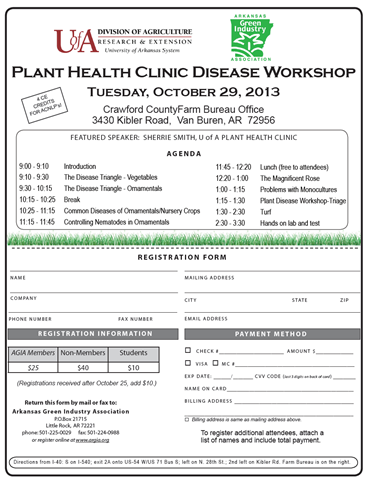 Sherri Smith does a great job with the class. 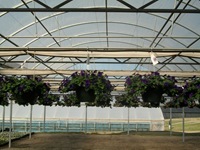 I went to one of her clinics a couple of years ago and learned a lot. 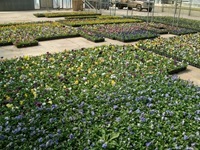 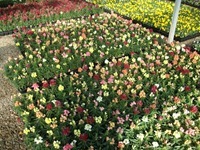 Now she has added in sections covering turf and roses to go with the vegetables, ornamentals and nursery crops sections. 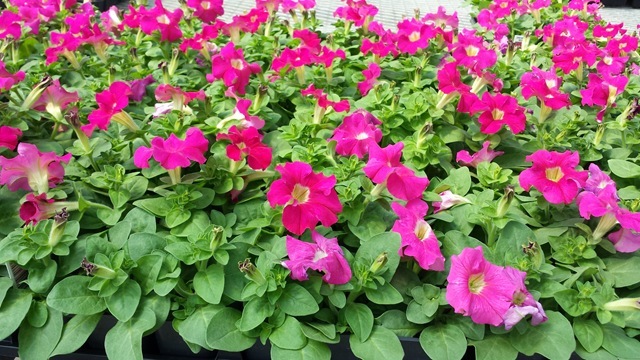 In addition to the session there is a lab where you get to apply your knowledge which was tremendously helpful and there is a manual you use in the class that you get to keep. 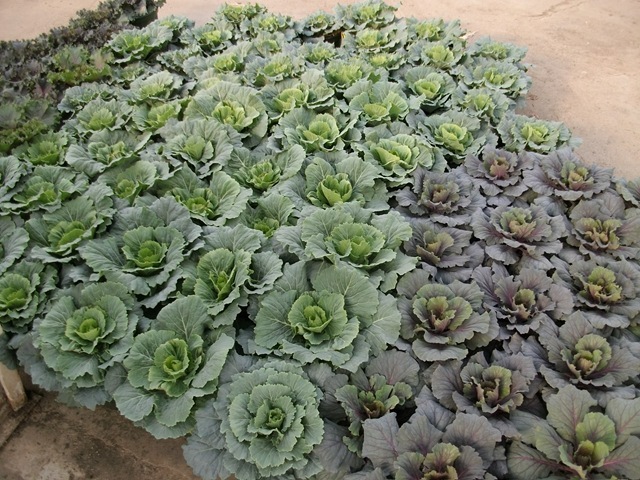 Lunch will be provided and since I am paying for the lunch I am going to make sure we eat well. 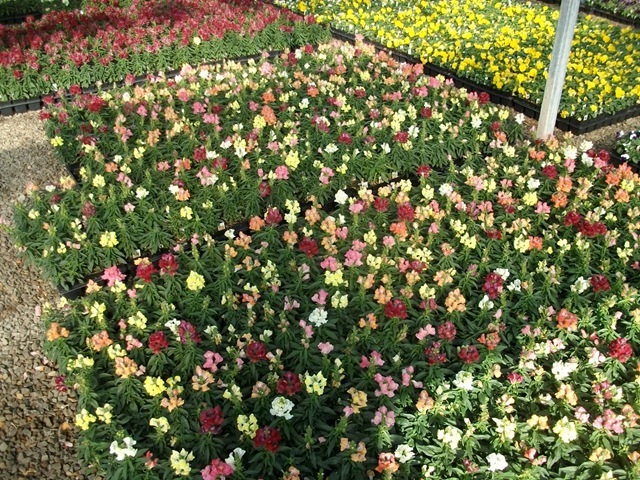 I am thinking lasagna but we’ll see what else is available. 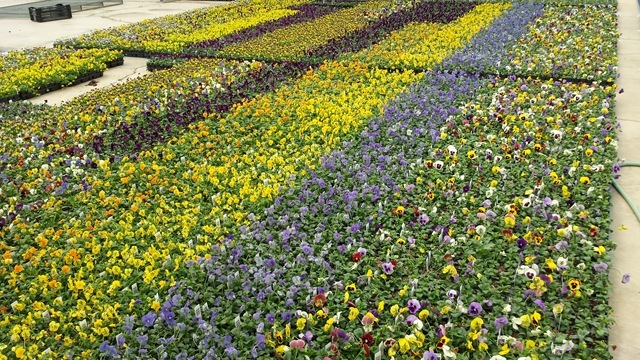 Everyone is invited and you do not have to be an AGIA member to attend but we would like for you to consider joining the association. 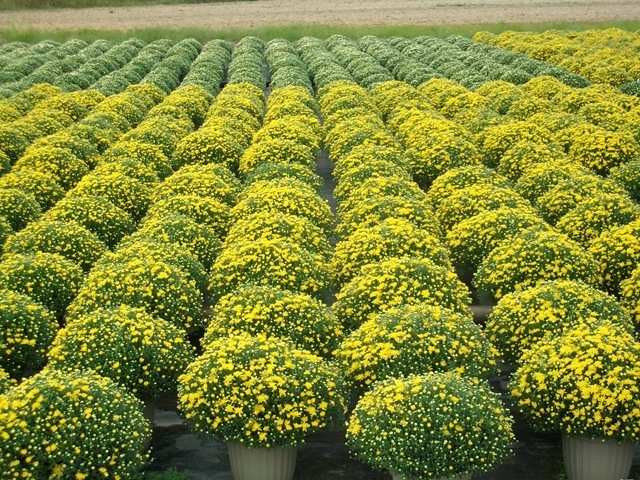 Fall officially starts on Sunday. 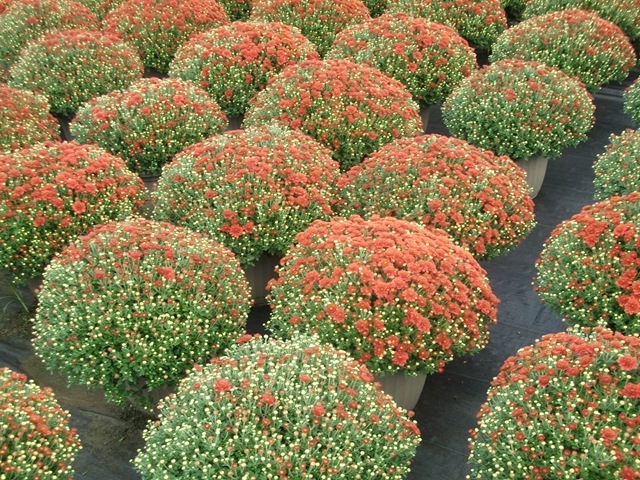 So far we haven’t seen much fall around here. 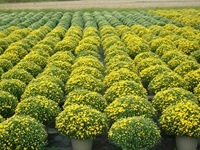 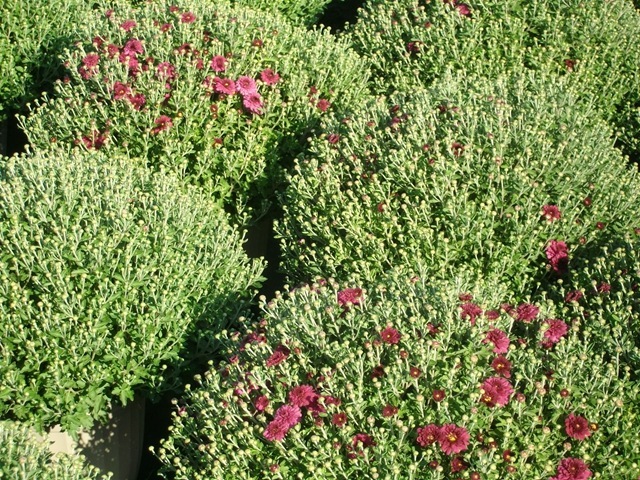 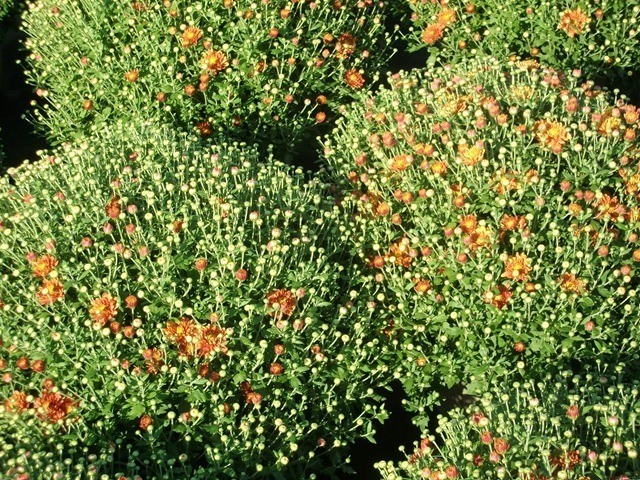 The mums are on schedule and the pansies and other fall plants are blooming, but it has felt more like summer all month. 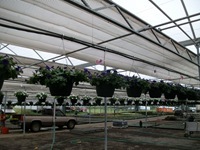 We did get the rain last night and it’s still raining some now. 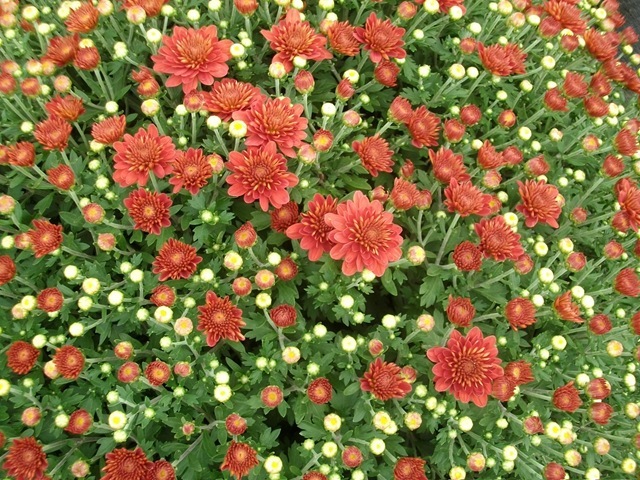 I am really looking forward to the cooler temperatures this weekend. I plan on spending Saturday in the woods so cooler is good but I hear that the yearling ticks are awful. 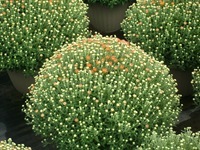 I can handle the ticks. 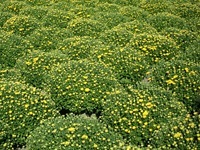 It’s the chiggers that kill me. 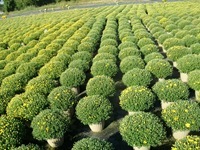 So far this fall we are a little behind, but we have a lot of orders in the pipe that are consuming the inventory. 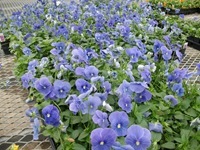 I have forward inventory in to free up availability now but we are still out of some items (#8 mums particularly) until I can get past the big orders. 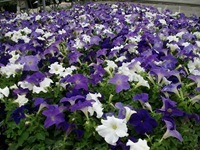 Everything is looking good. 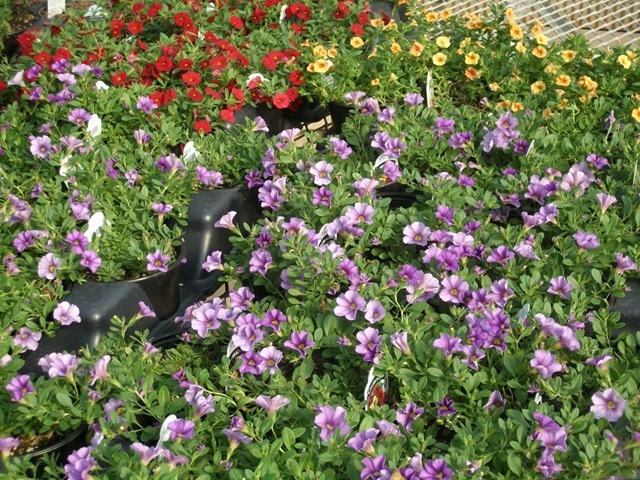 I will probably have to dump some petunias that are getting too tall, and we skipped over some tall pansies. 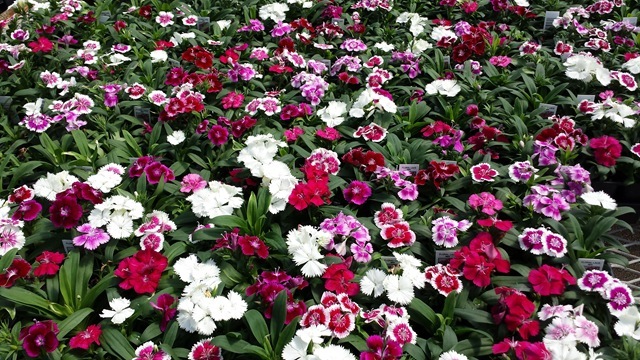 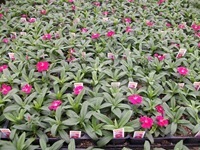 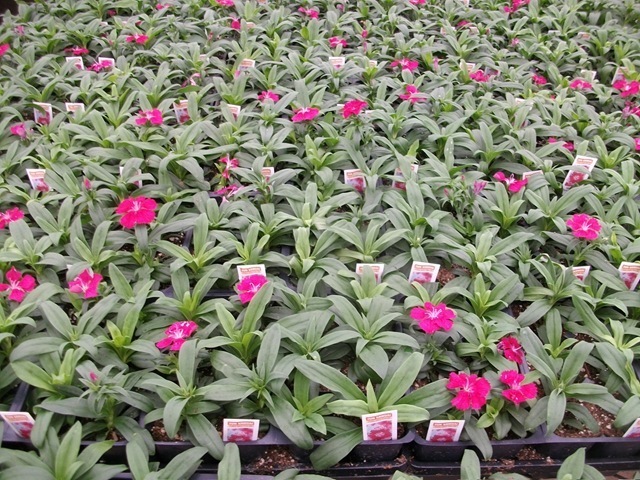 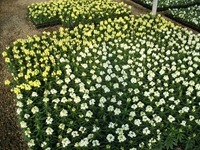 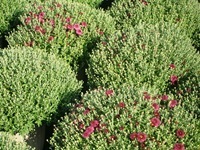 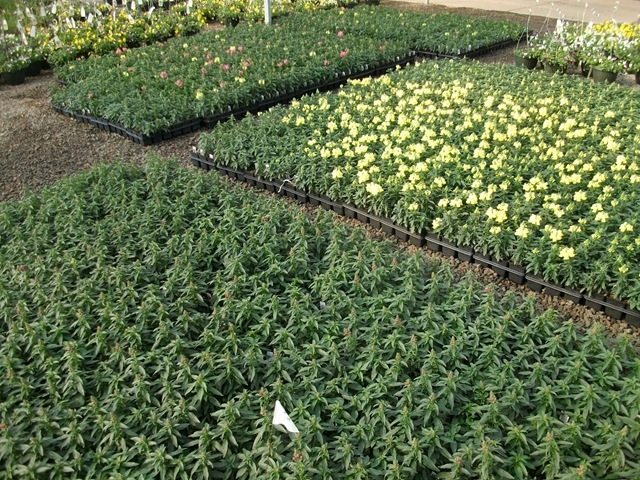 There was a mix up somewhere in the plug order on our next crop of red dianthus. 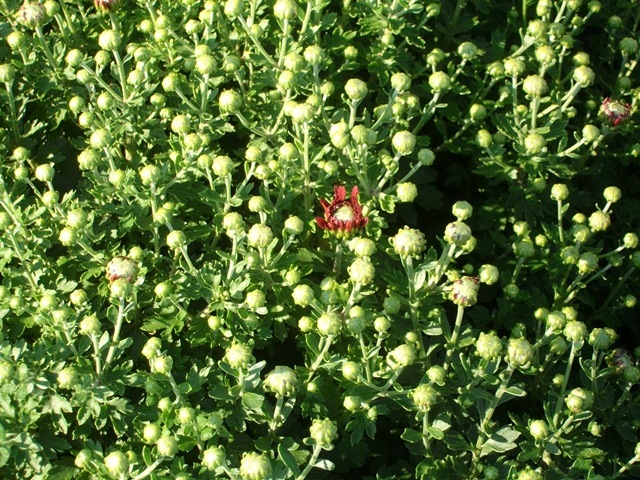 It’s rose so we will be temporarily out of the red until we get into another crop. I haven’t mentioned the Ornamental Cabbage and Kale yet this fall but we have some great looking #6 and #8 pots ready along with #6 Swiss Chard and a few J6 Cole Crops we have left. 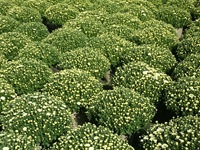 Mums are in various stages. 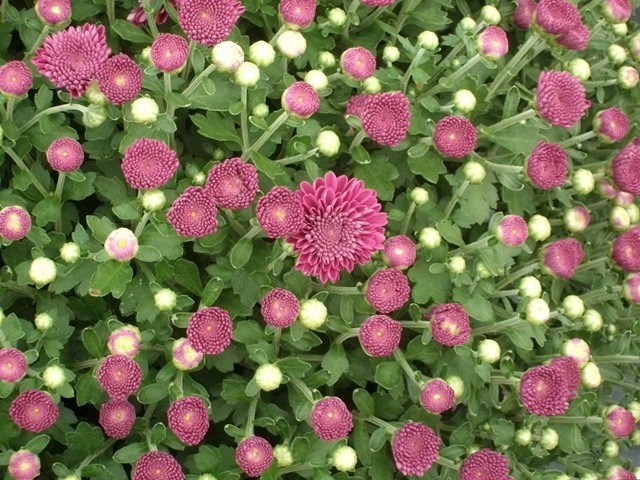 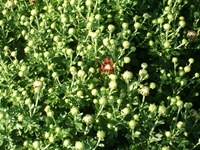 We have some of the early ones left showing some color with the mid-season mums just now starting to crack some color in the buds. 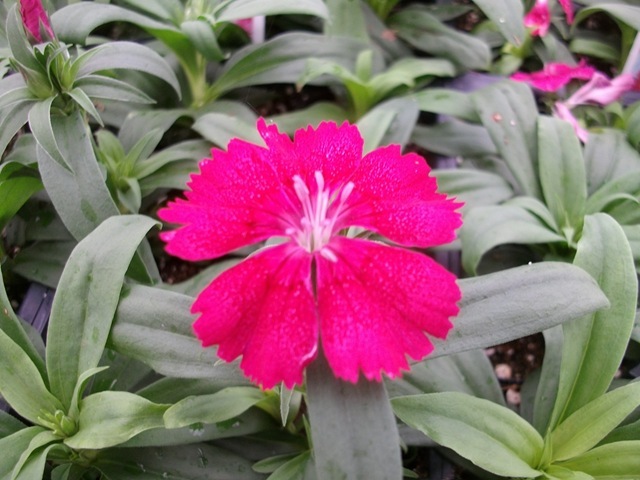 J6 Dianthus is starting to color up. 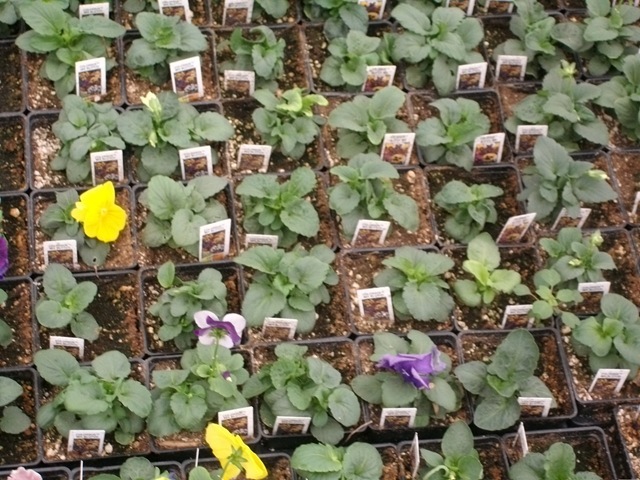 These are our current availability pansies, panolas and violas. 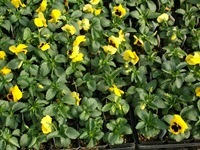 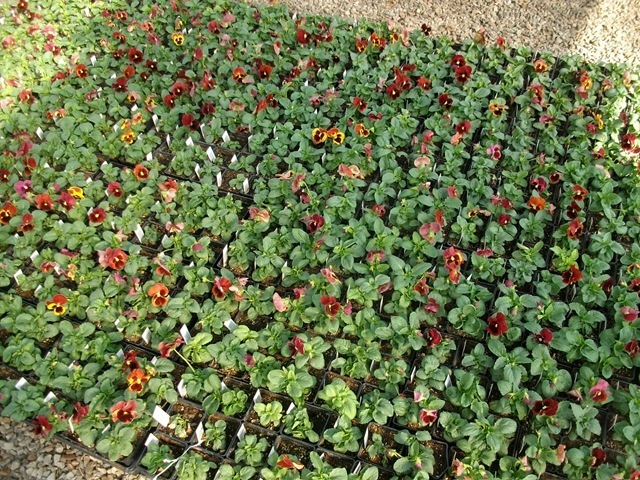 The next crop of Pansies, Panolas and Violas are looking very nice. 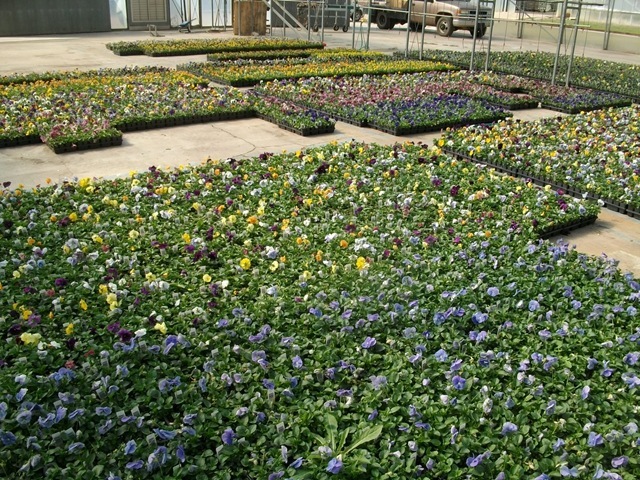 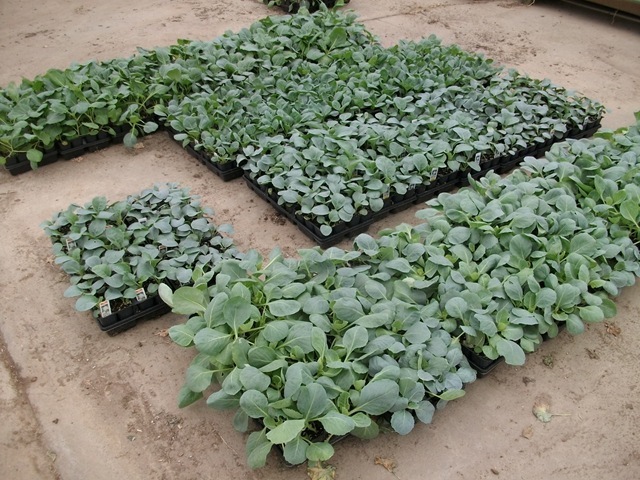 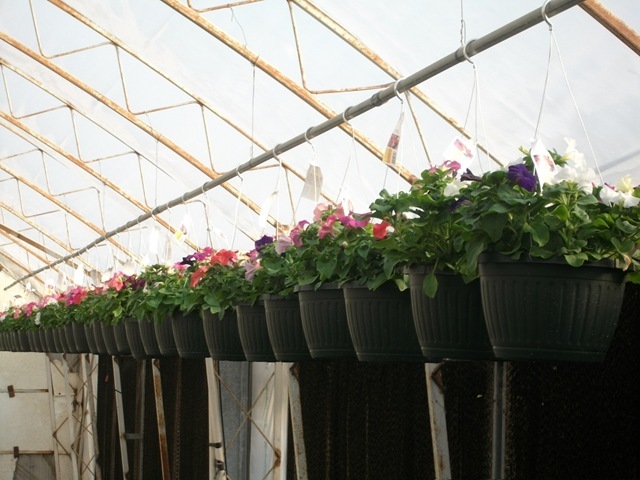 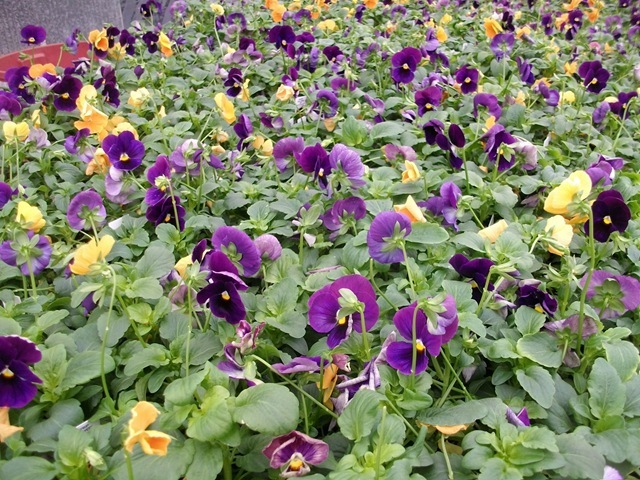 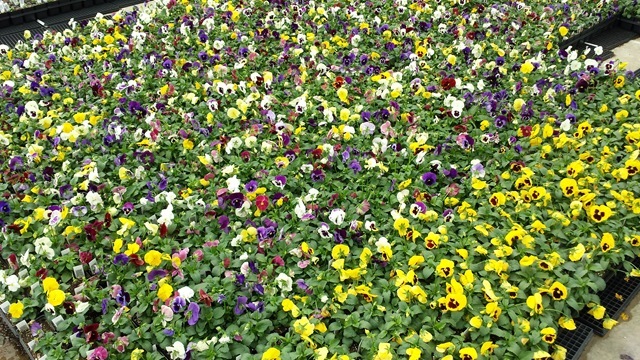 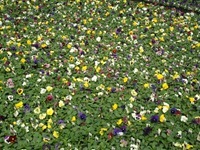 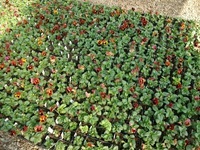 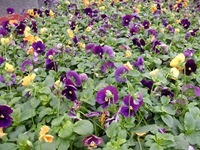 Most of our next crop of 1801 pansies are not quite ready yet, but there are a few color that we can pull some from. 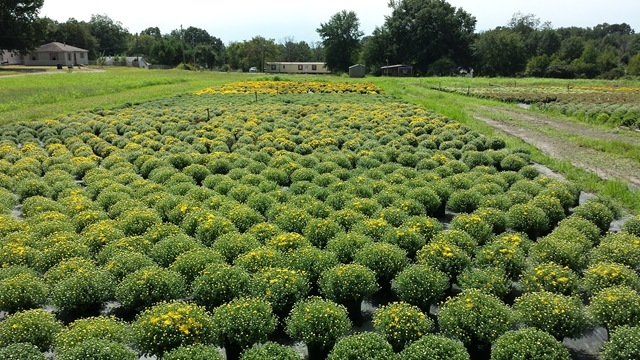 We will be adding in 1801 availability as they get ready next week, but some won’t be ready for another 10-14 days. 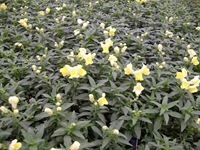 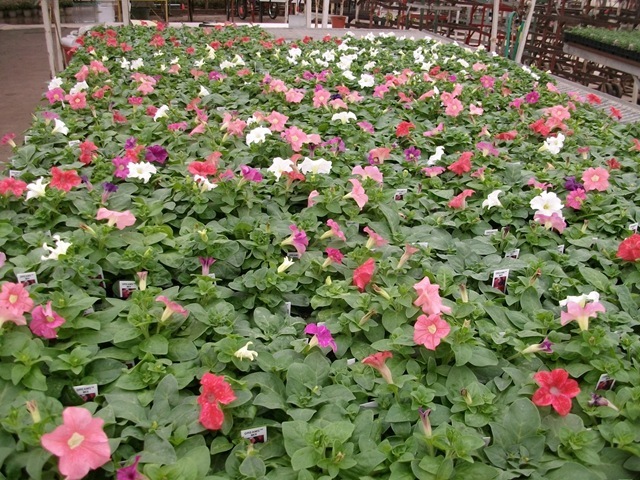 J6 Petunias have Good Color and what’s left of the first planting of Dusty Miller looks good. 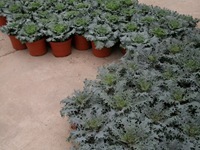 There will be some gaps in the availability of both if we sell the current availability. 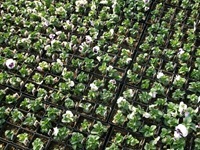 The next crops of both won’t be ready next week. 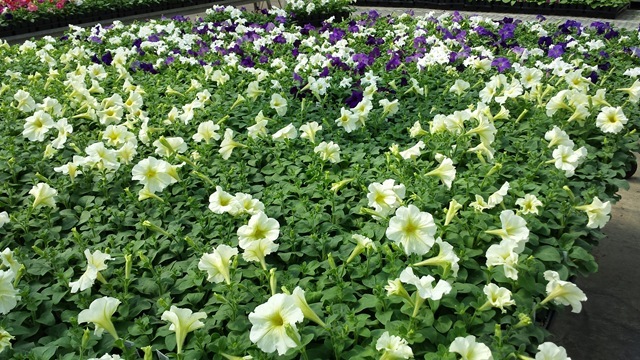 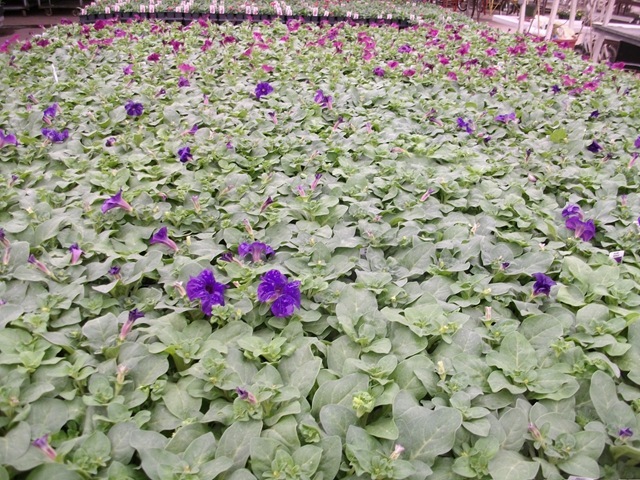 The 1801 petunias are colored up. 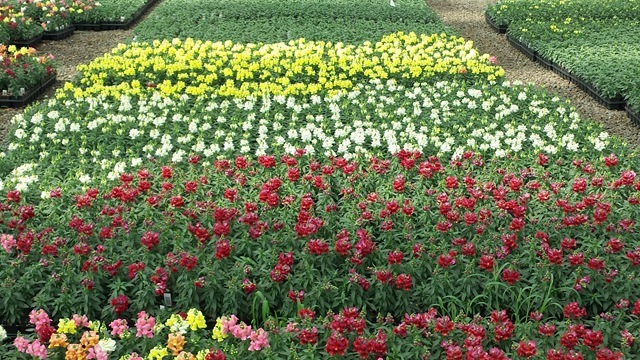 They don’t have many blooms showing here because we went through them and picked the blooms off to keep bad blooms from falling into the plants. Snapdragons in J6 and 1801. 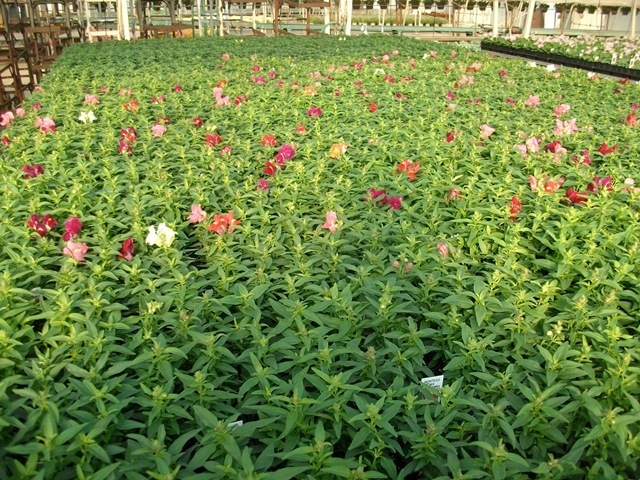 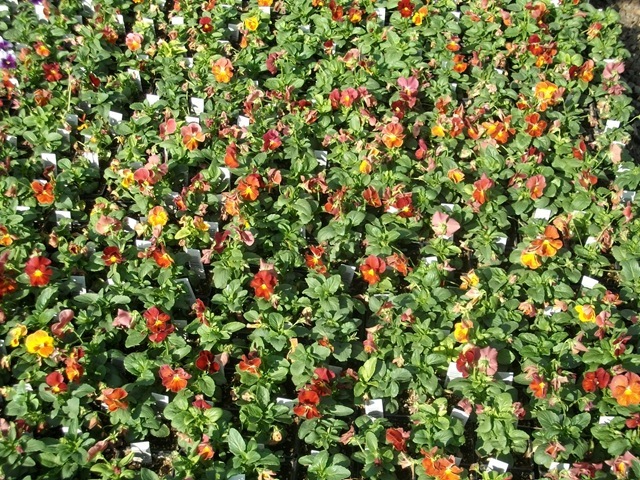 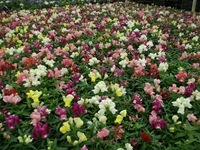 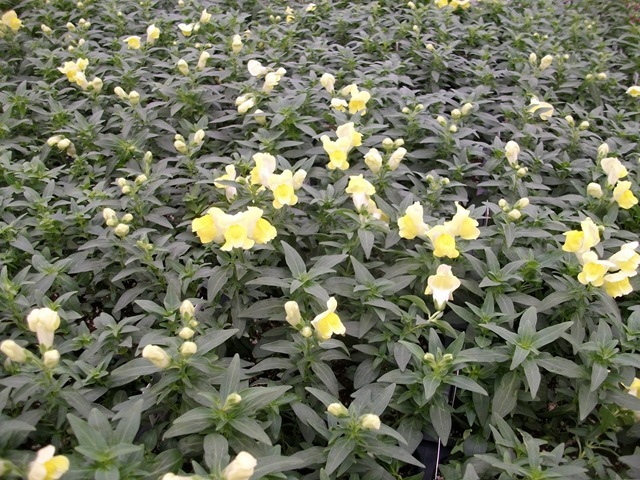 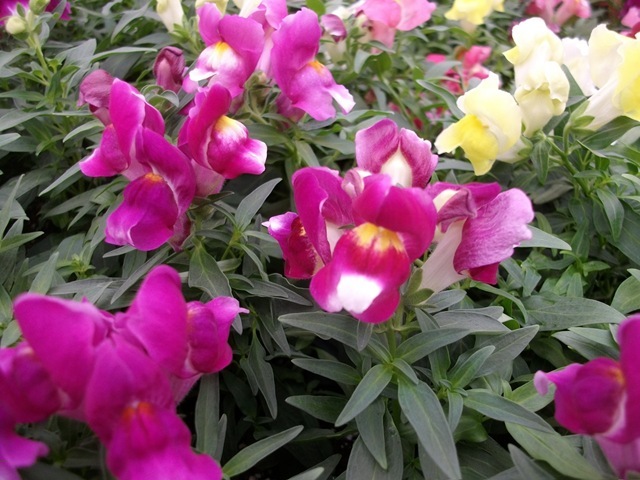 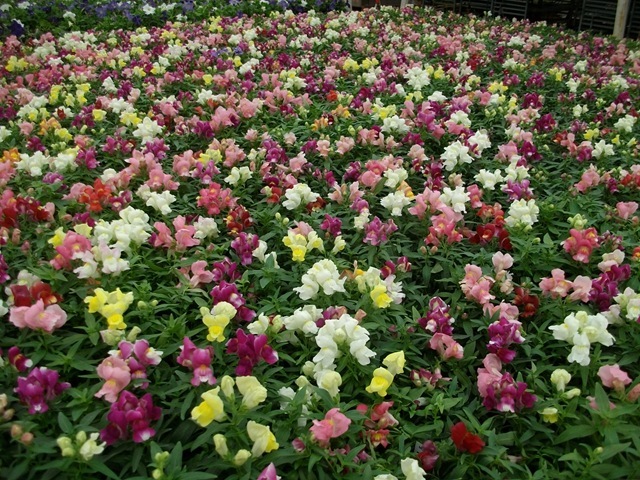 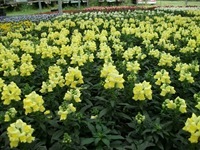 We have a lot of Good Color in our 1801 Sonnet Snapdragons. 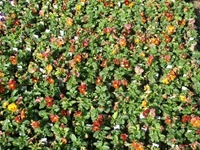 Also have Good Color in our J6 Montego Mix but less color showing in the solid colors. 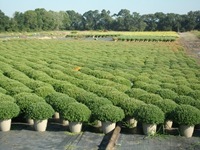 We will probably run out the J6 snaps next week and have a gap until the next crop gets ready. 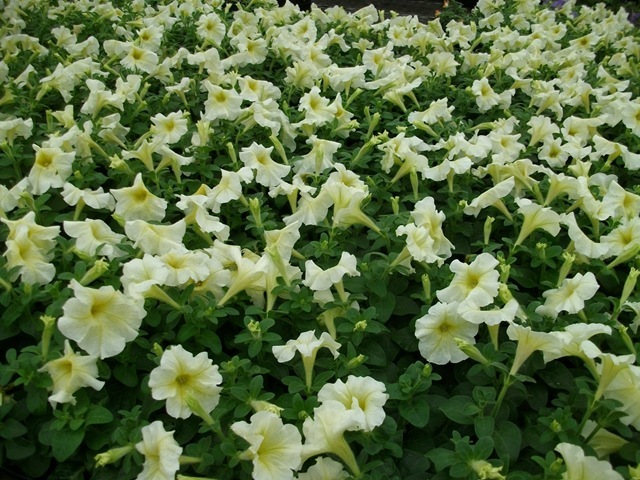 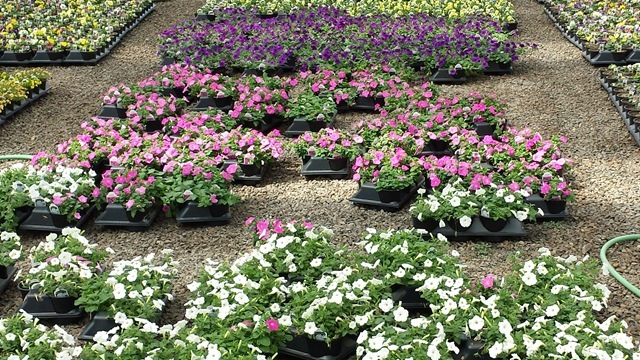 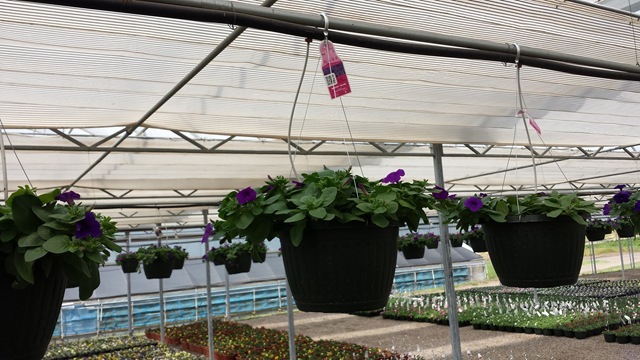 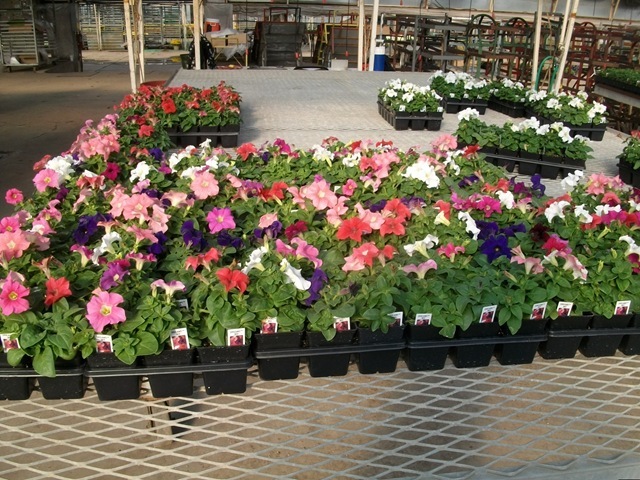 Wave Petunias in #6 pots and #10 baskets. 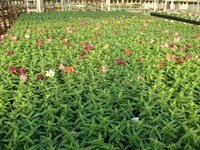 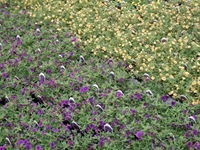 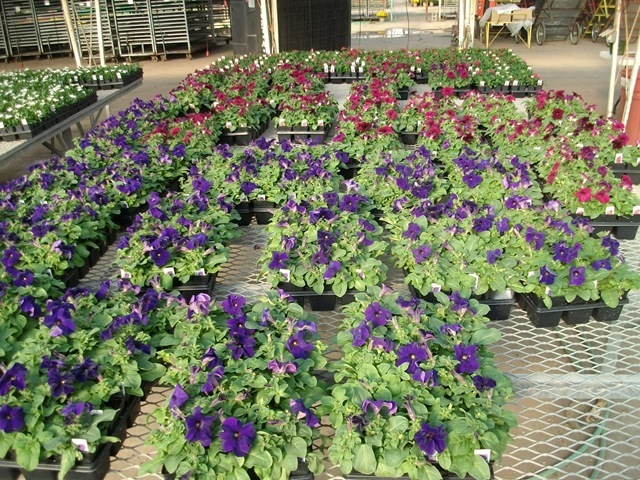 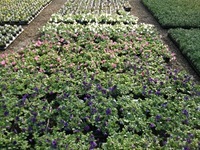 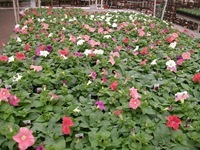 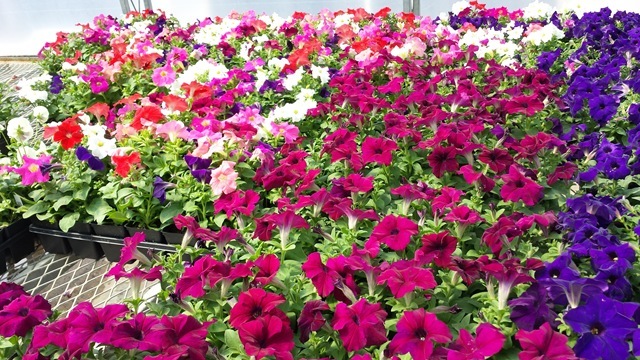 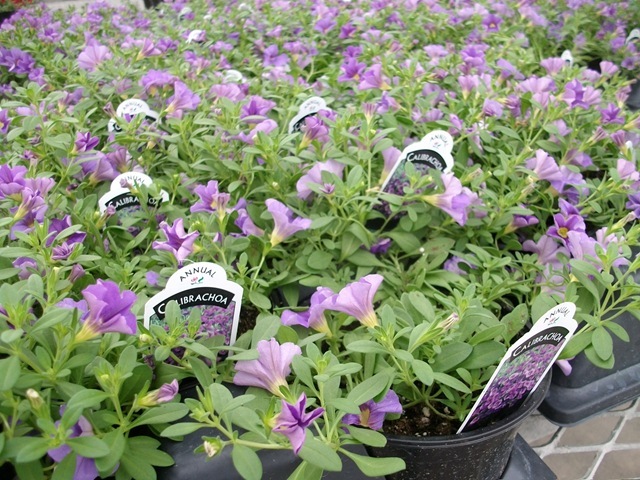 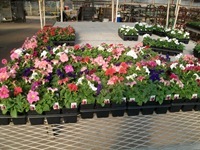 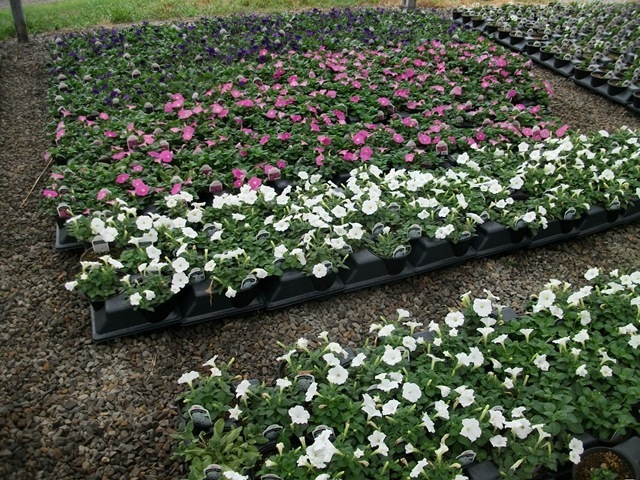 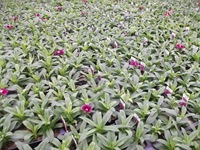 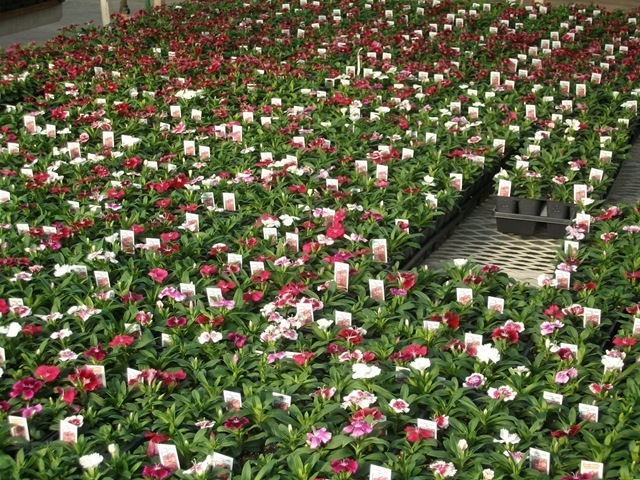 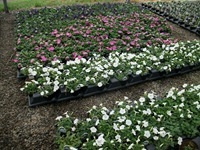 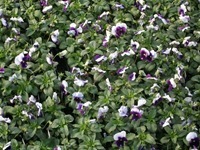 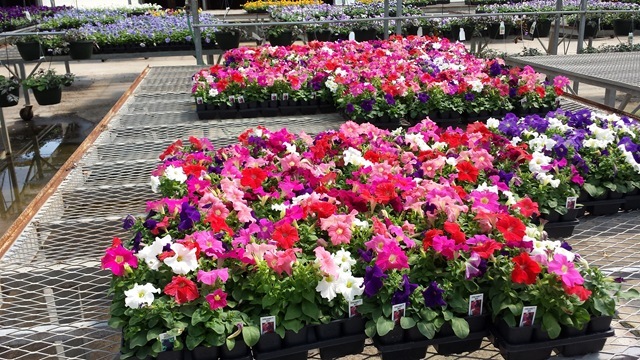 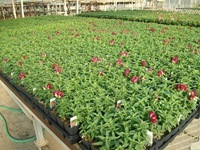 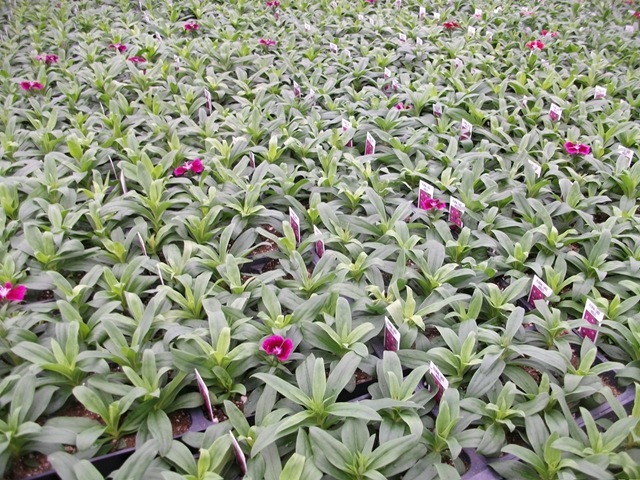 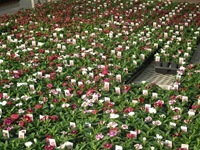 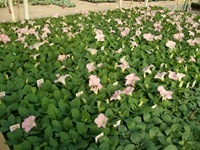 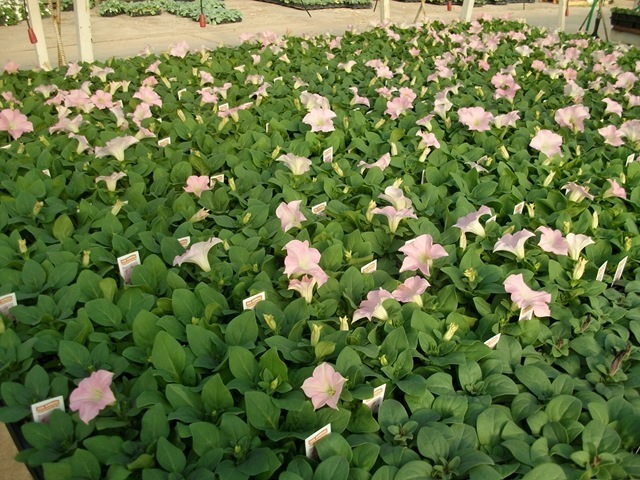 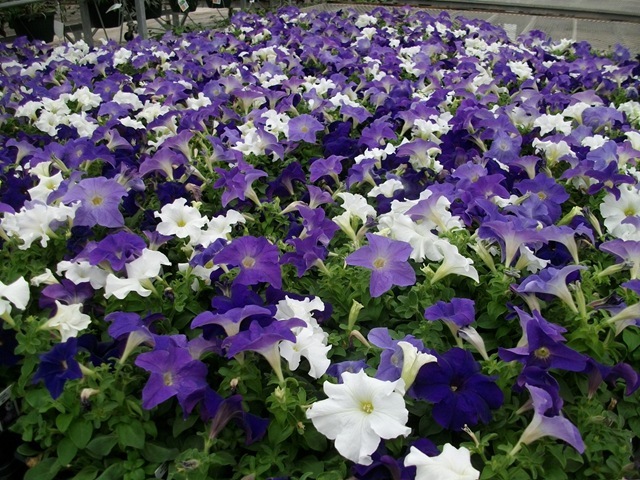 The pink, violet and white wave petunia baskets are smaller than the blue shown below. 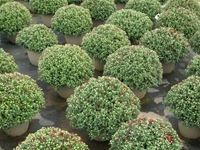 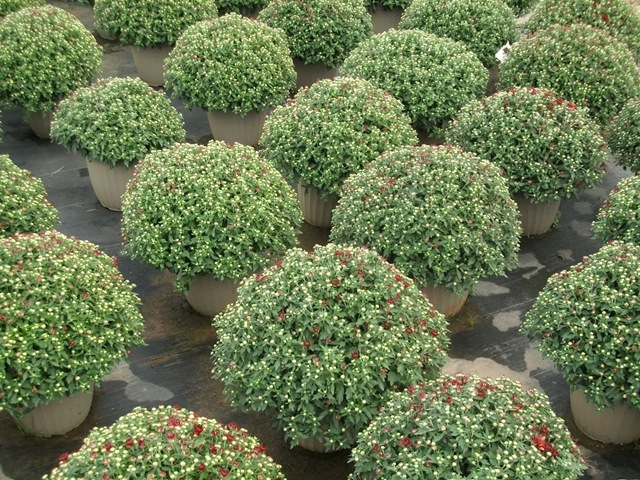 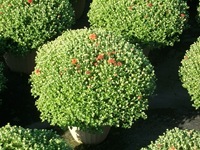 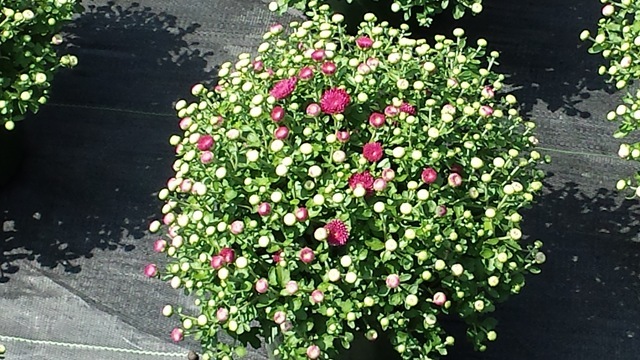 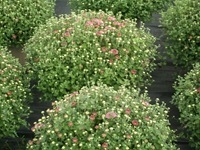 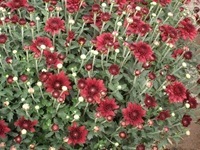 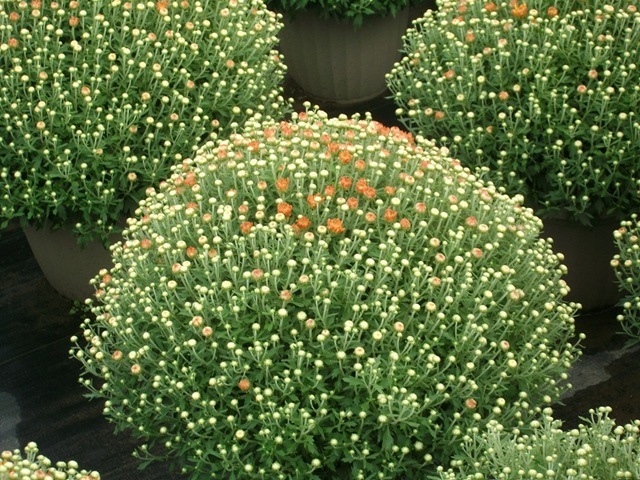 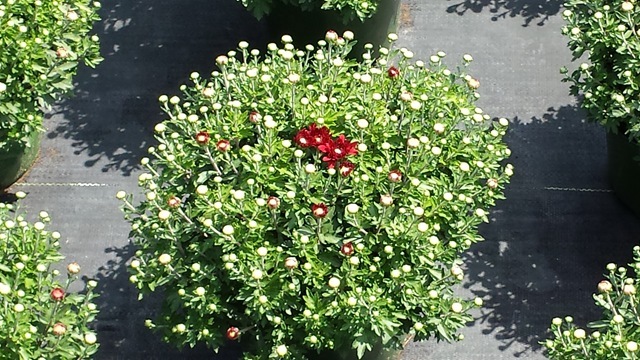 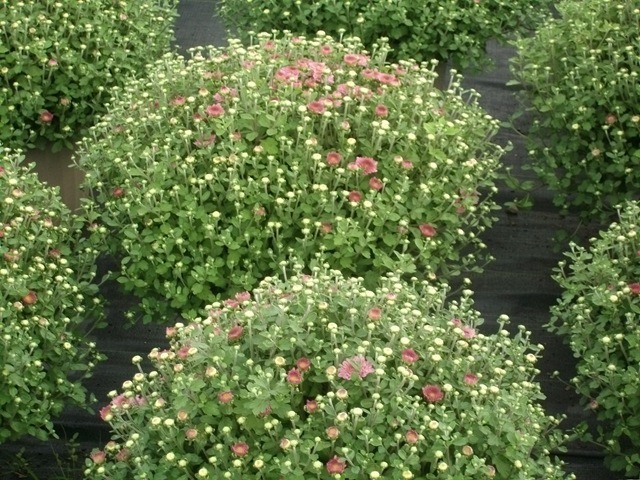 For those of you who don’t know, tricolor mum pots are mums with 3 different colored mum per pot. 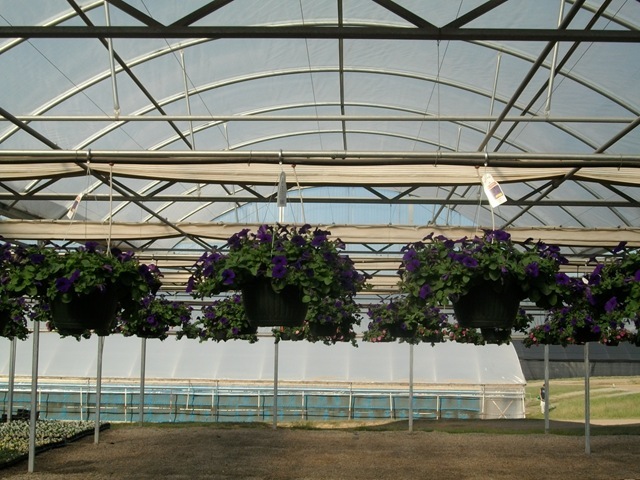 In past years to do a tricolor pot, you had to pick from 3 different varieties that were timed to bloom at the close to the same time. Sometimes these varieties did not have the same vigor or just didn’t bloom at the same time. 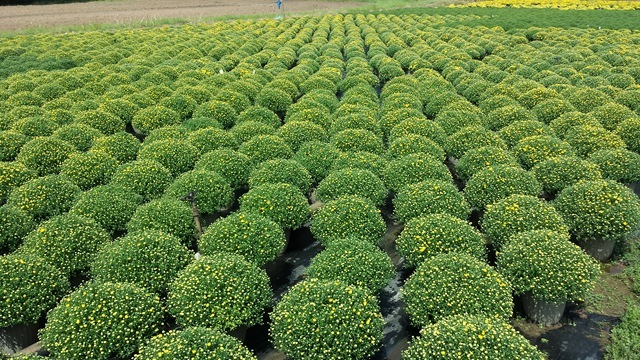 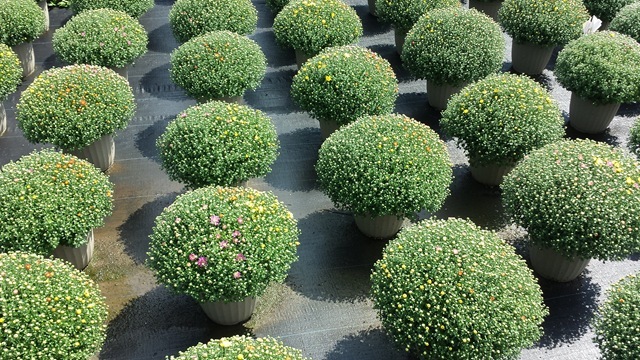 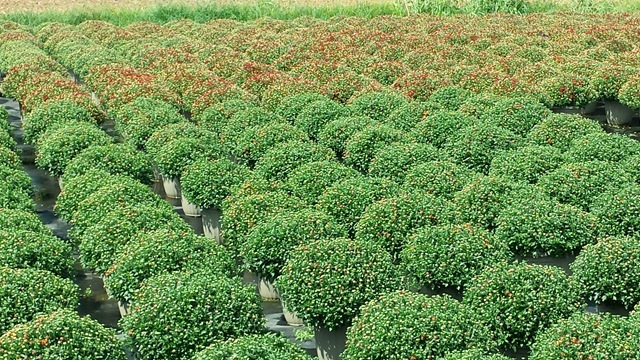 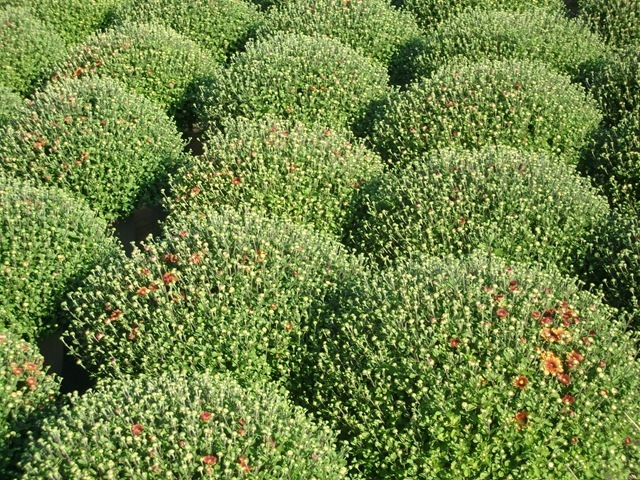 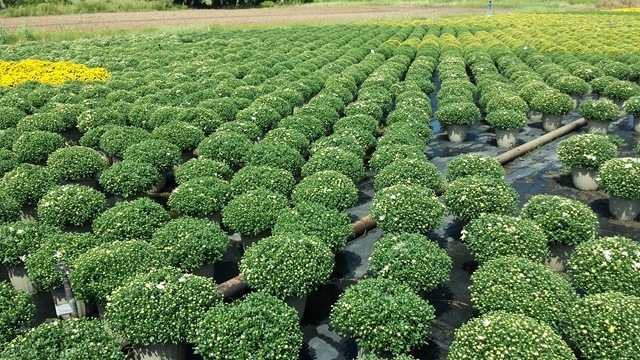 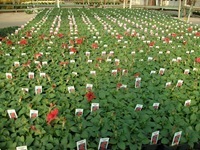 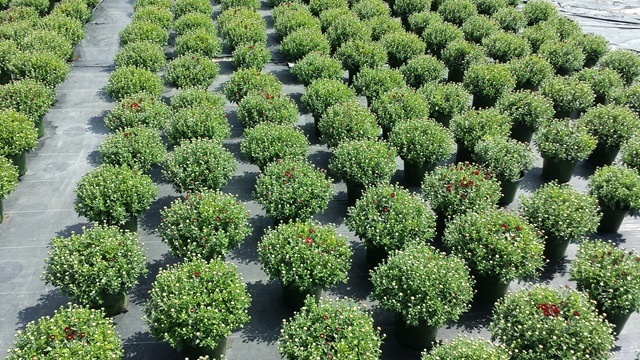 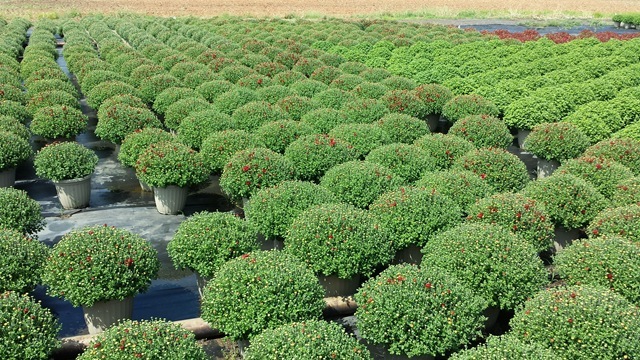 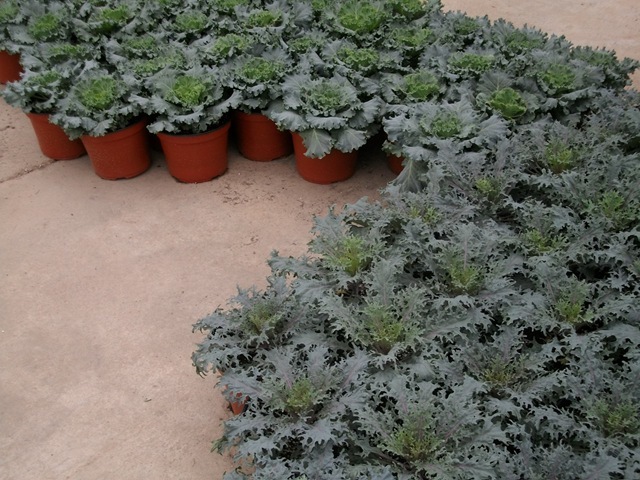 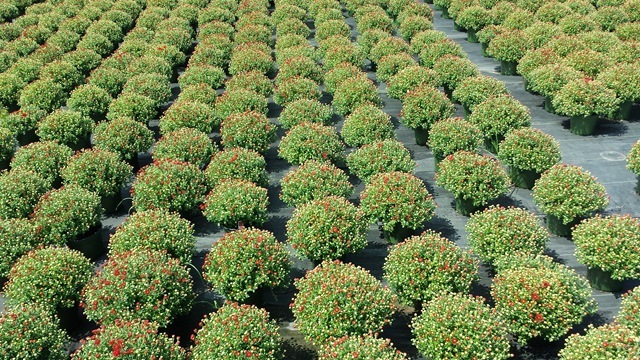 In response to the demand for these types of 3 colored pots, the mum breeders have started to develop better series that are more closely timed to one another in the series. 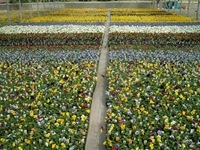 This year the suppliers offered 4 different series of tricolors, and I trialed them all. 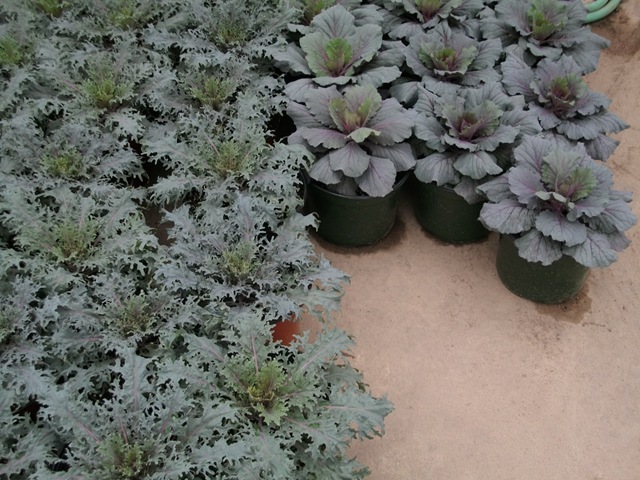 Had I known how exceptional these first two were going to be, I would have grown more. Supplies are limited on these this year but we will definitely be adding these in next season and I apologize if you get all excited about these then can’t get them. 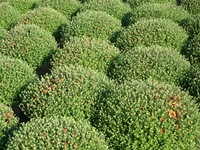 I am so far behind it’s not even remotely funny. 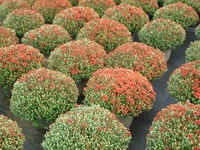 I hope the weather cools off for everyone this weekend so that we can all get fall started. 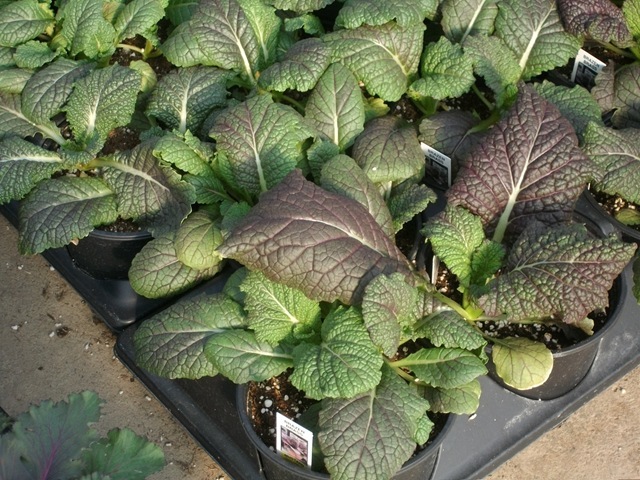 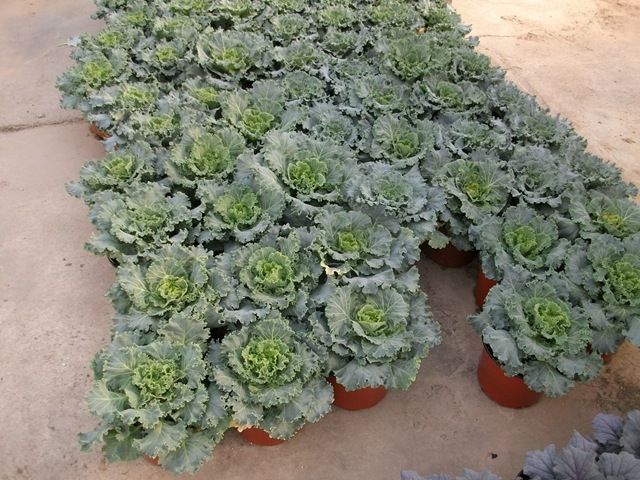 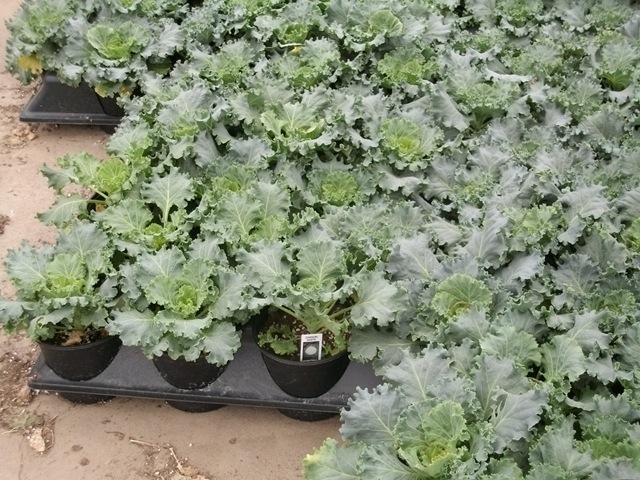 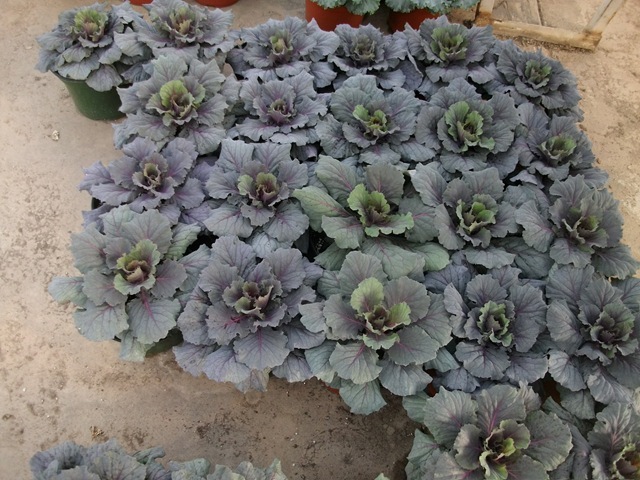 Also we have some J6 Cabbage and other cool season vegetables available. 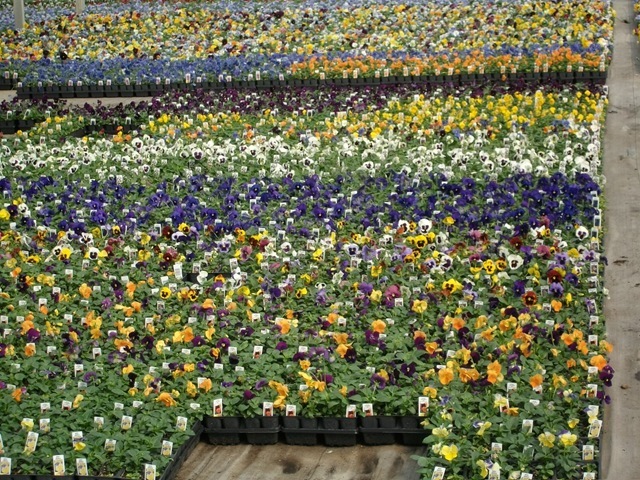 I didn’t get any pictures of them. 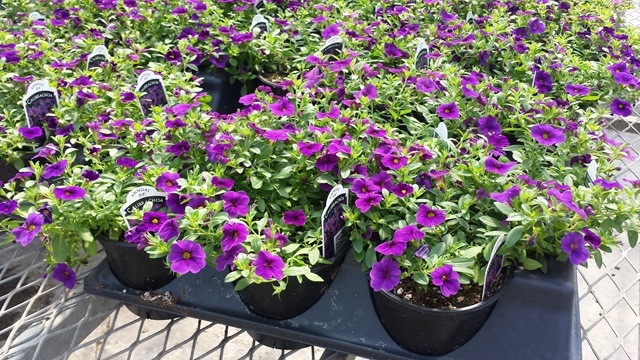 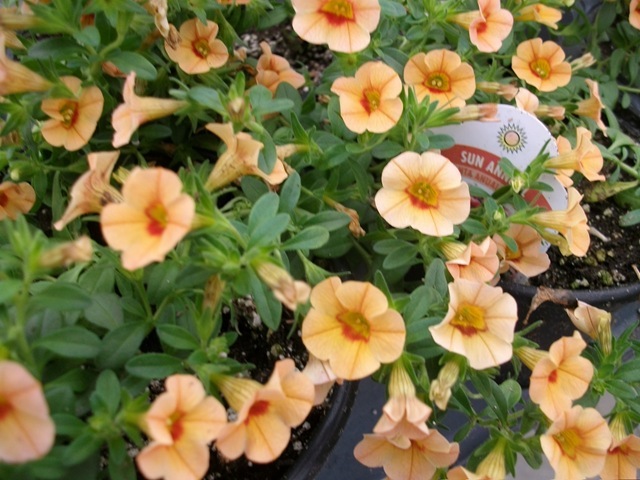 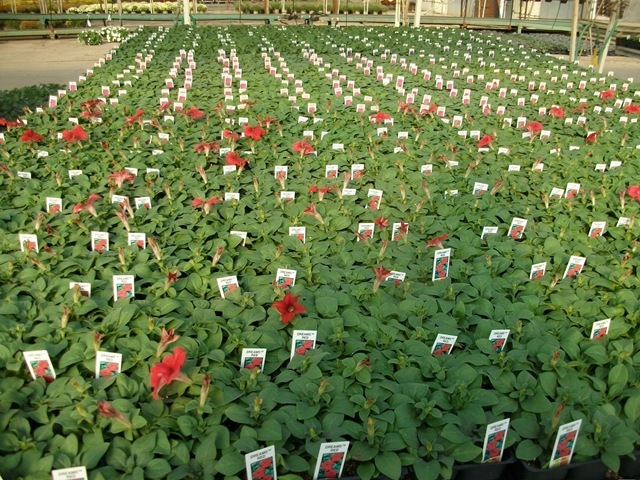 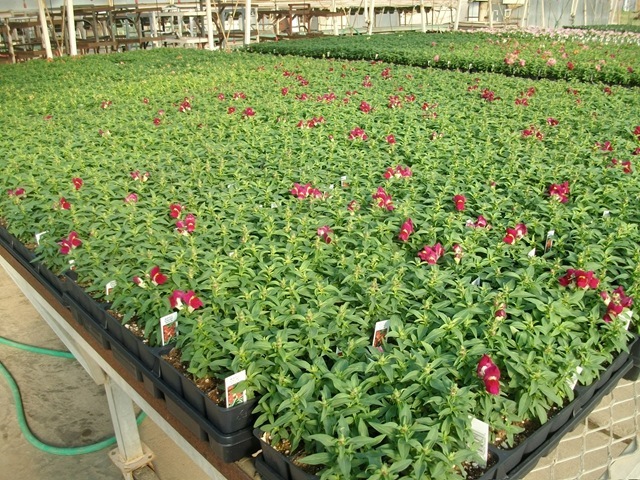 We have a few wave petunia baskets ready.